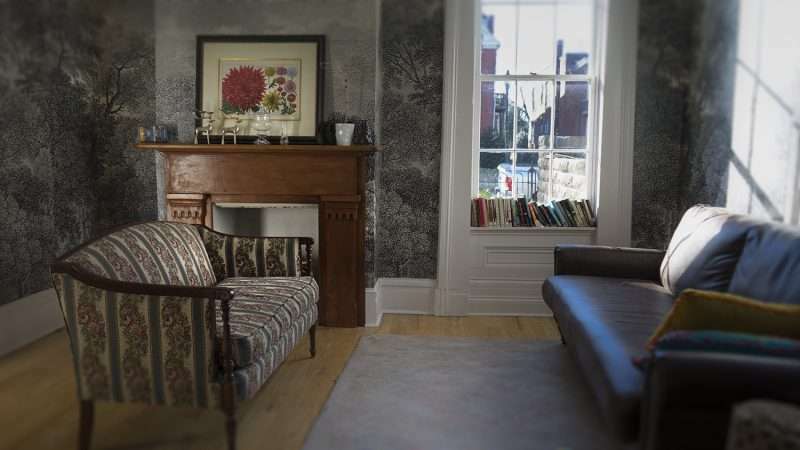 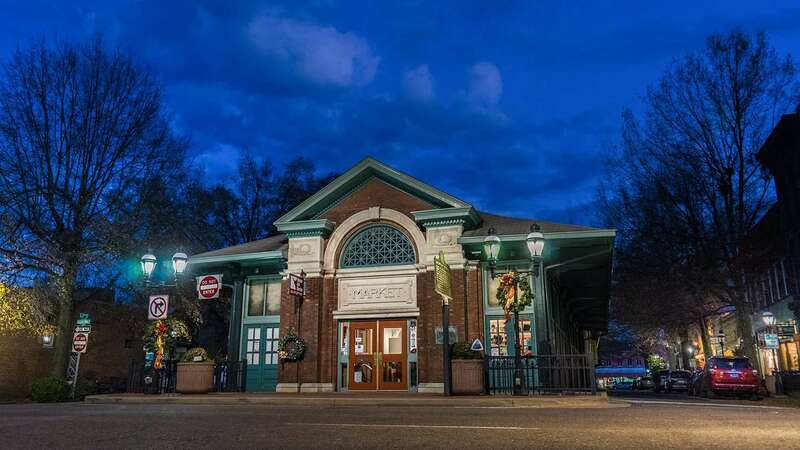 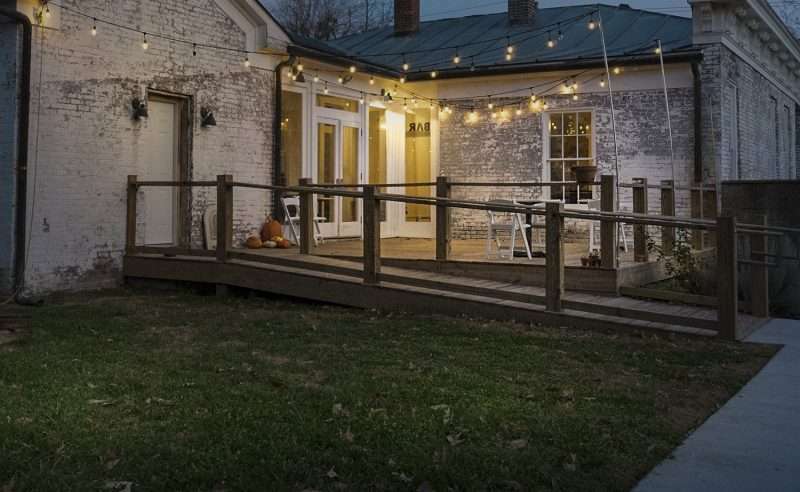 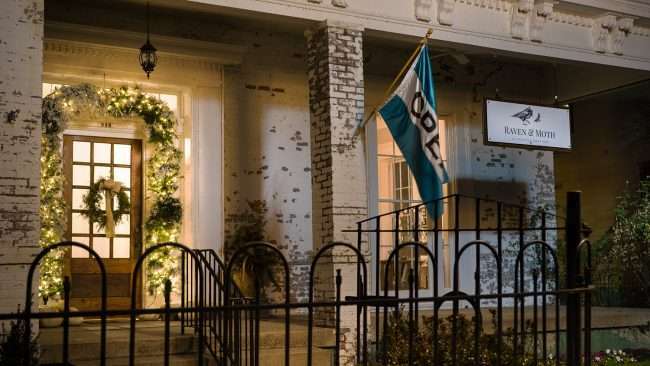 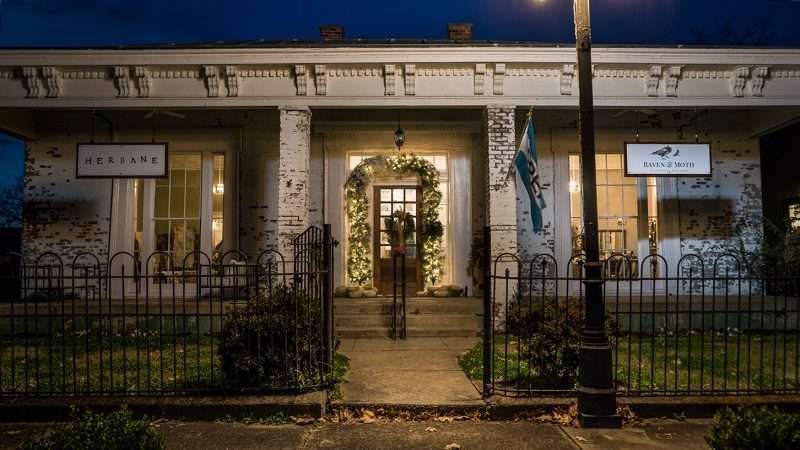 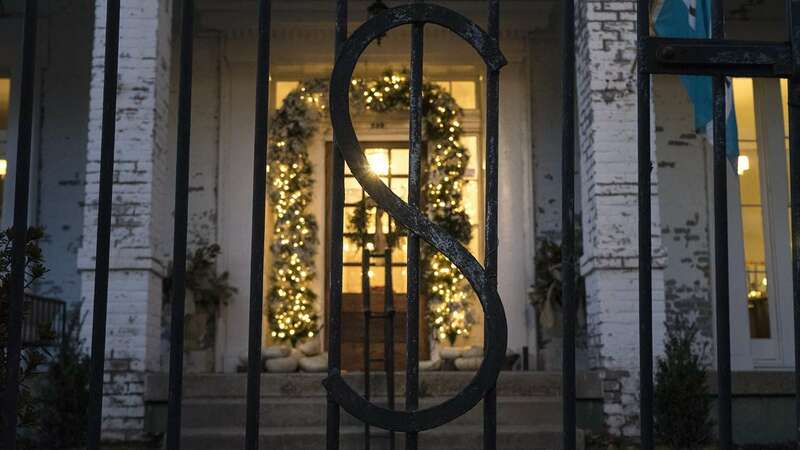 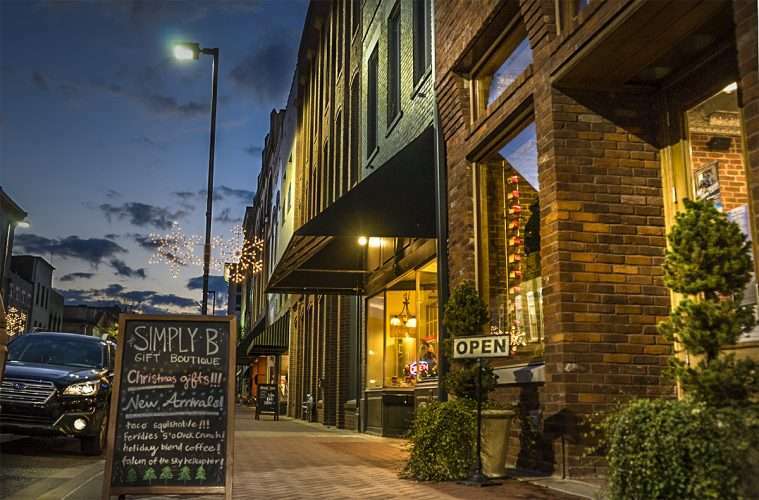 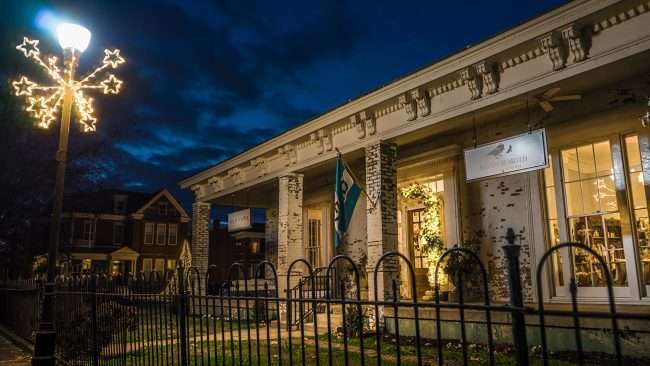 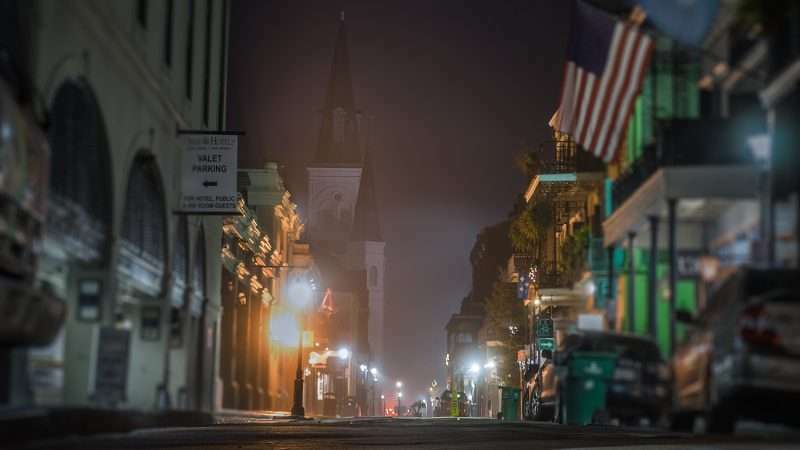 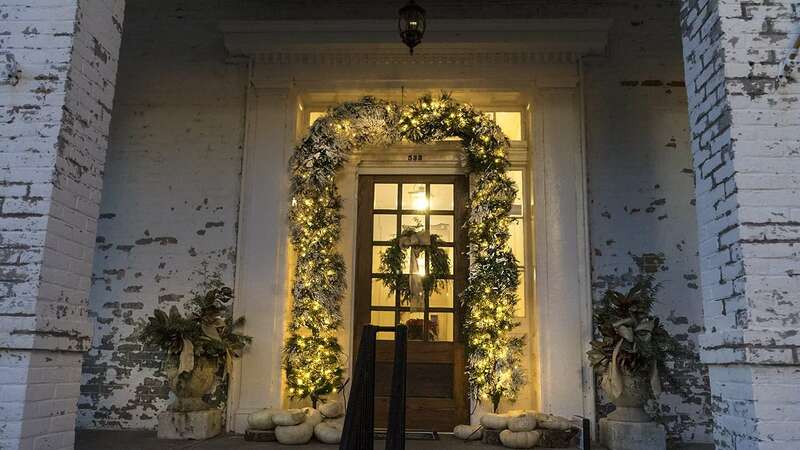 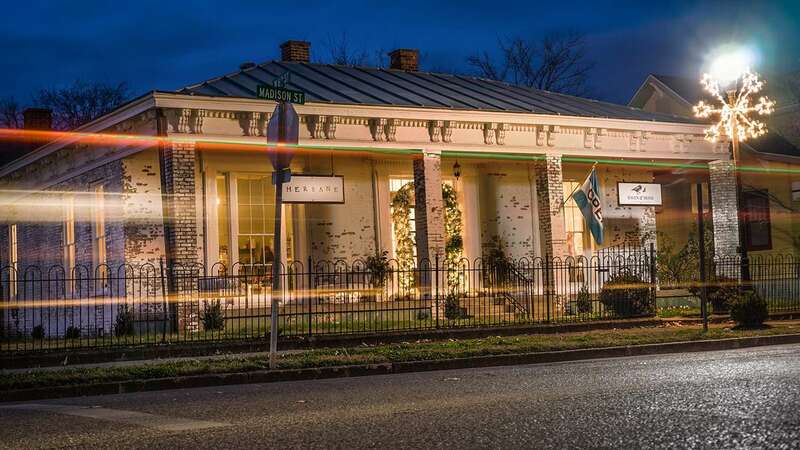 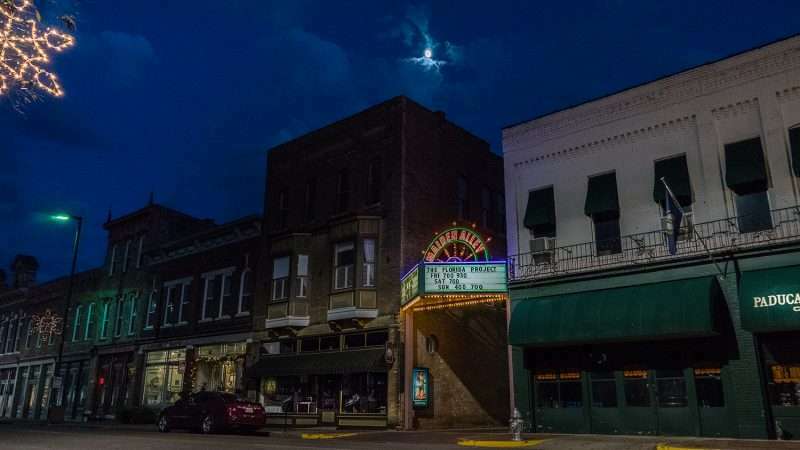 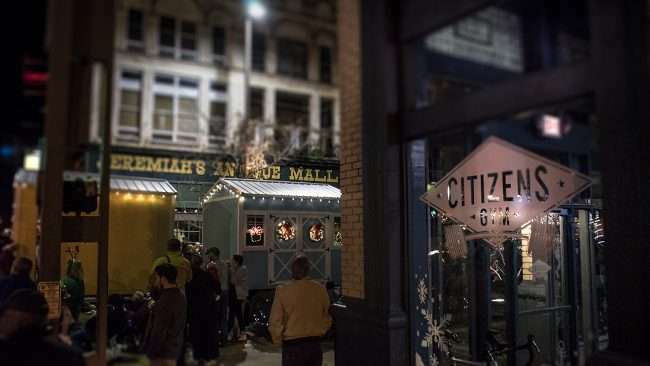 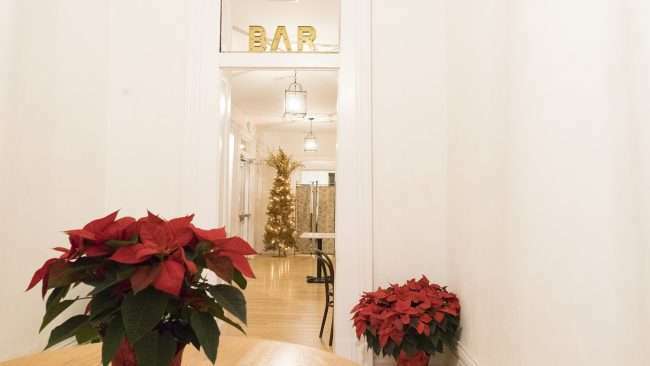 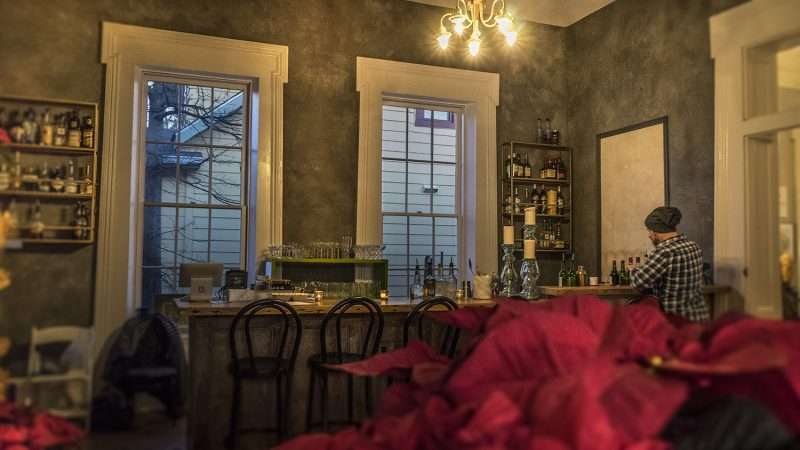 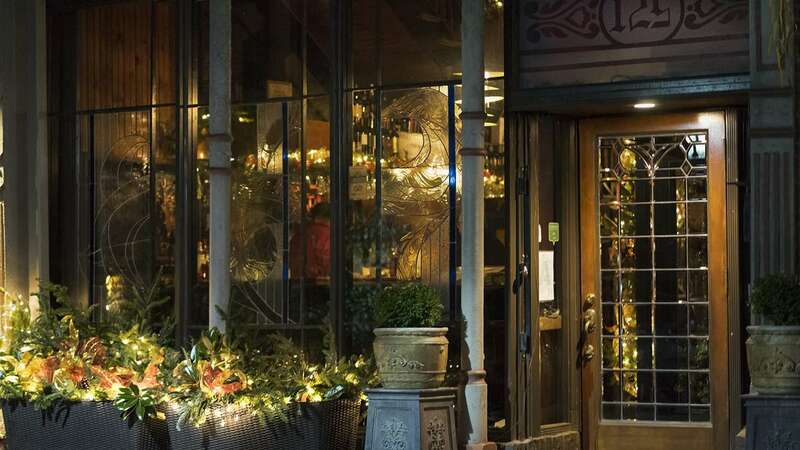 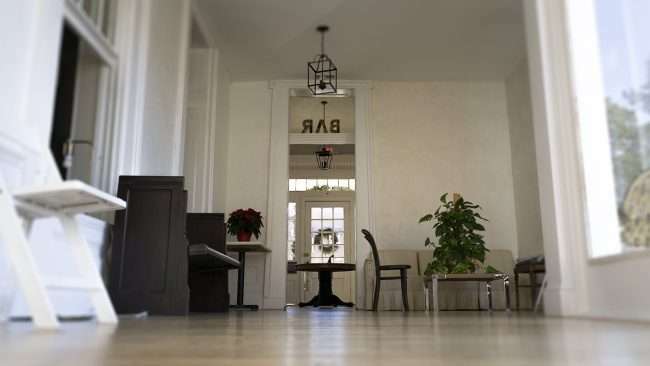 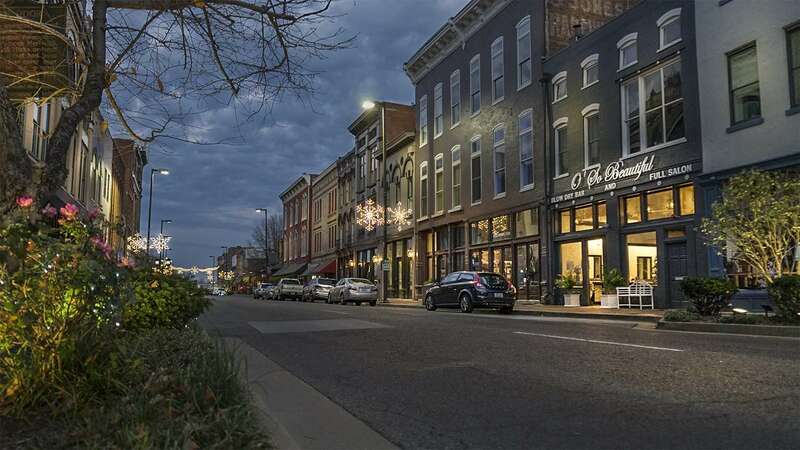 PADUCAH, KY – The Smedley Yeiser is a classical event venue that resides in a perfectly restored 1852 home located in the Lower Town Art District neighborhood in downtown Paducah, KY. 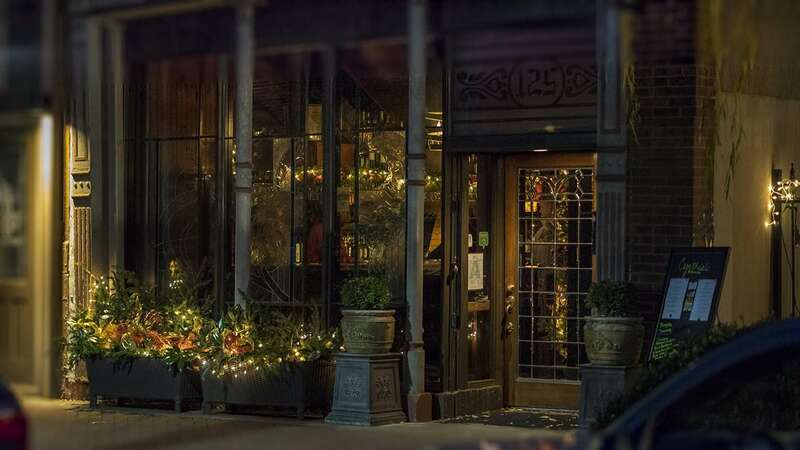 The Juniper Bar at the Smedley Yeiser features hand-crafted drinks and cocktails in a warm homelike setting. 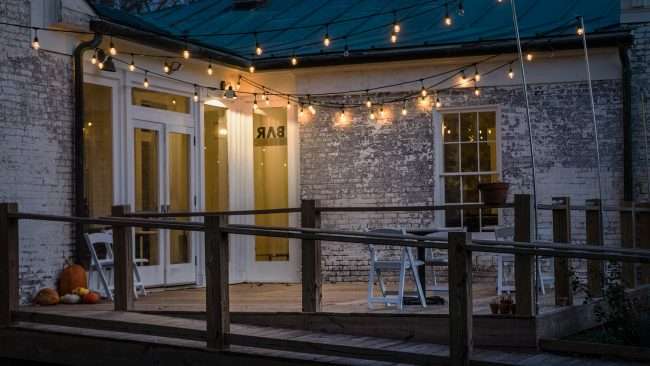 The bar is open to the public Thursday through Saturday from 5pm to 10pm and 11am to 5pm on Sundays. 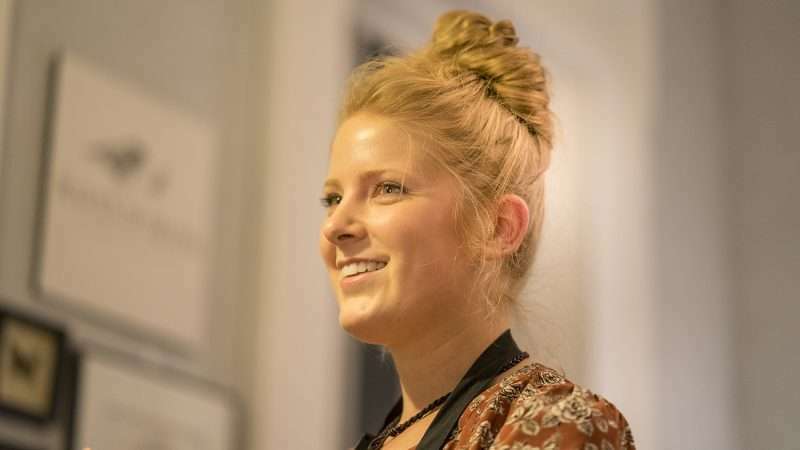 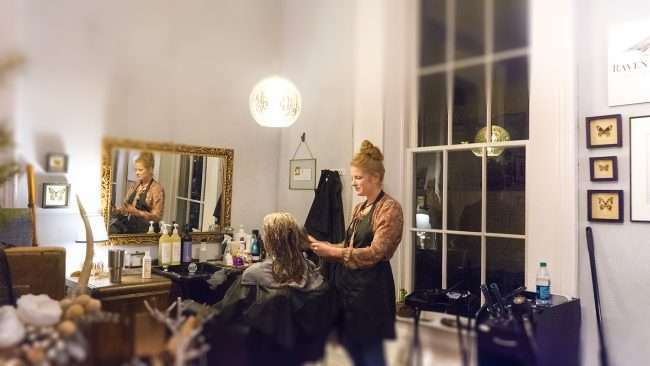 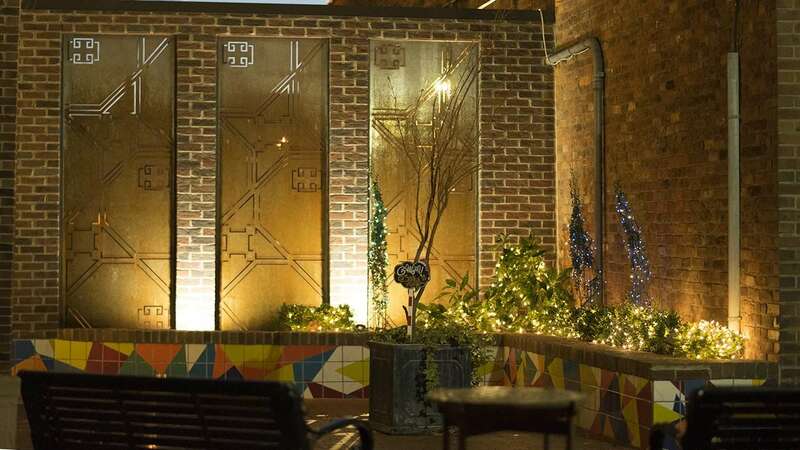 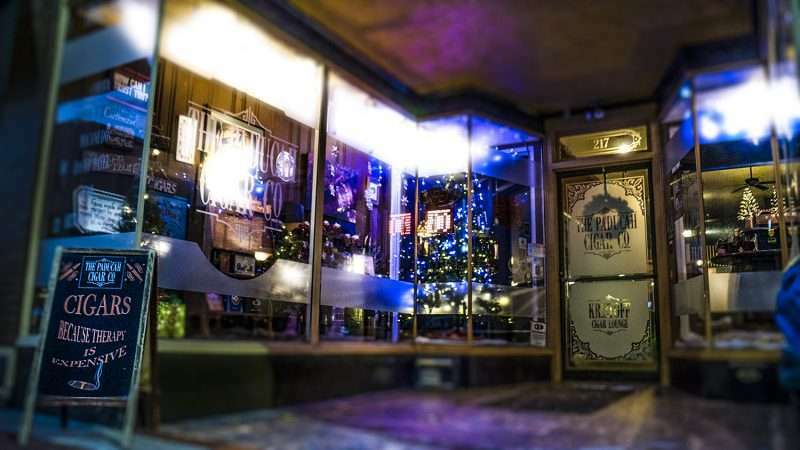 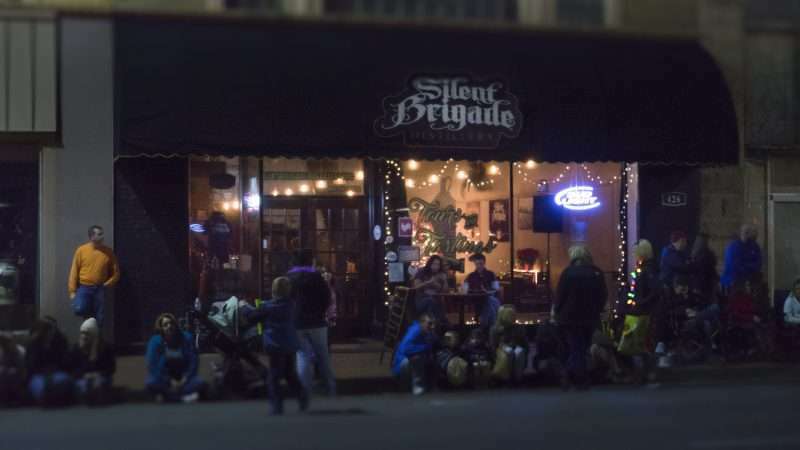 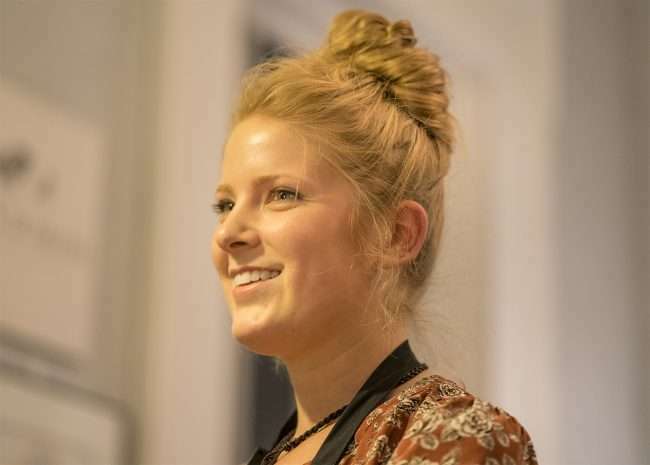 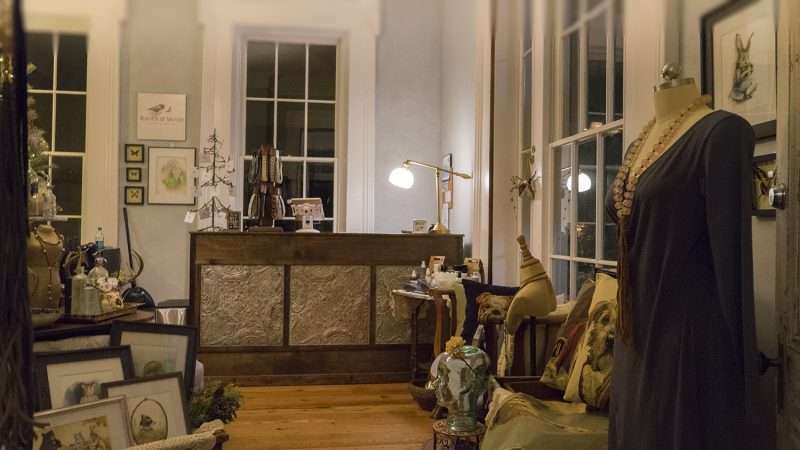 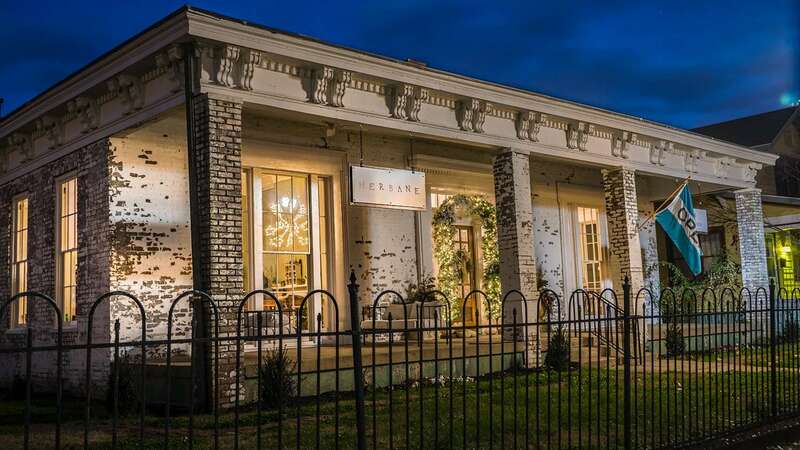 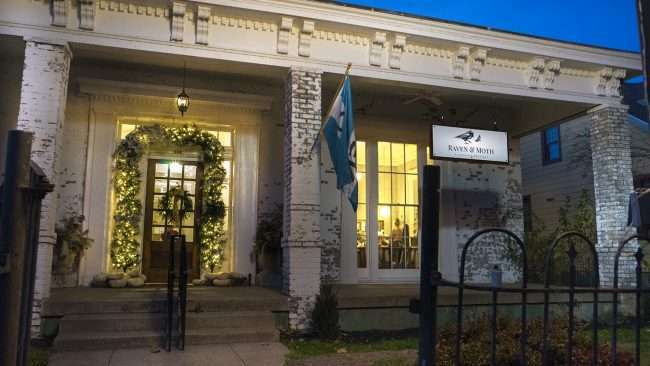 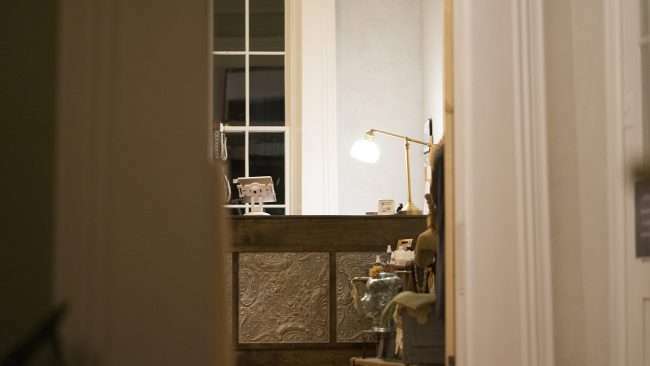 PADUCAH, KY – Raven & Moth is a salon and boutique located inside the historic Smedley Yeiser home at 533 Madison Street in Lower Town Paducah, KY. 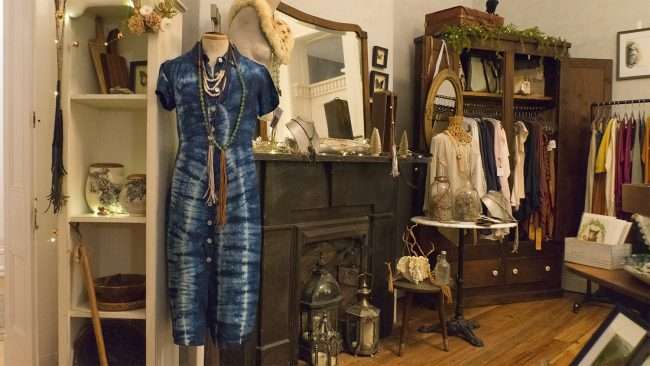 Owned by Hair Stylist Erileigh, Raven & Moth is a unique Lifestyle Boutique featuring custom cuts and hair coloring along with locally-made clothing, women’s Jewelry, art and more. 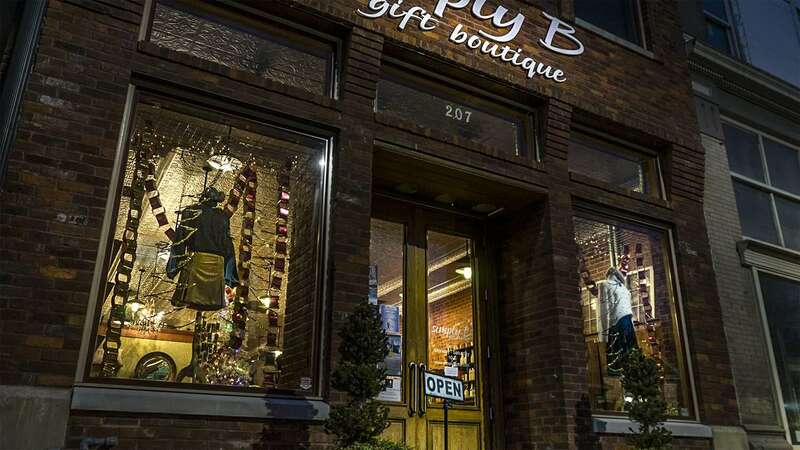 You can find woven clothing made by Lily Liu, a local artist and clothing designer right here in the Lower Town Arts District. 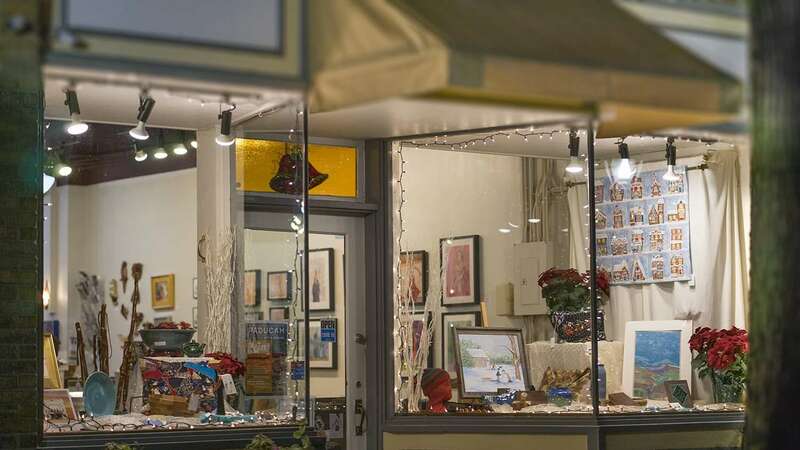 You will see Belgian tapestry pillows and local artwork in the shop as well. Most of the jewelry is made by Erileigh’s mother, Melanie, who is an expert in making beautiful one-of-a-kind pieces. 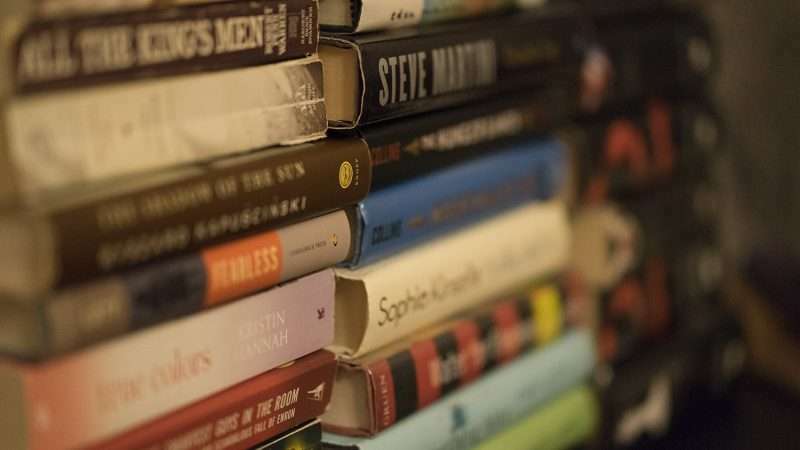 The shop is eclectic and rightly so being in Paducah’s Arts District. 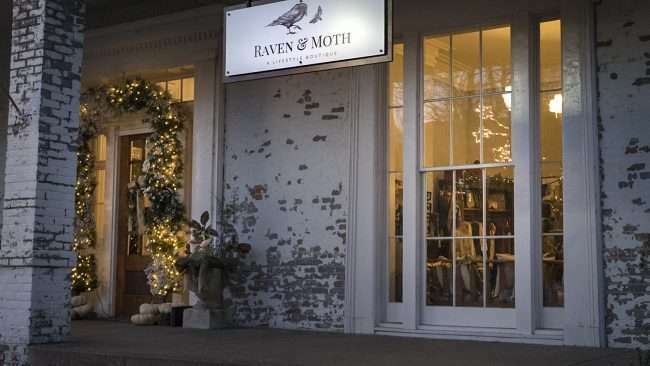 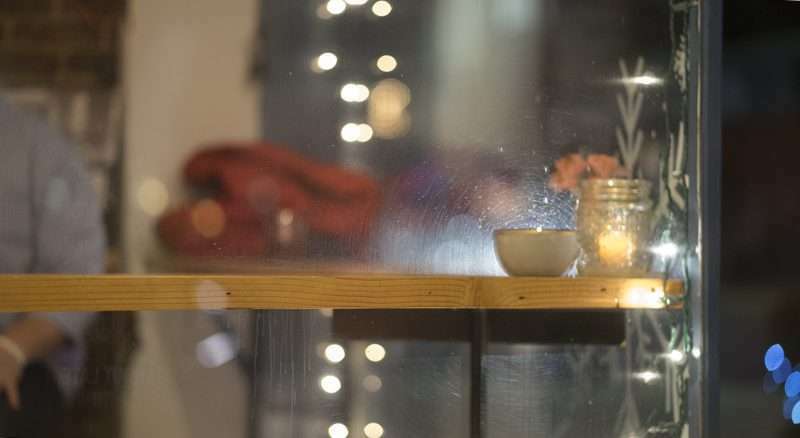 This is another quaint and locally owned gem so please give Raven & Moth a try the next time you need your hair done or want to check out the new local trends in clothing and jewelry. It was such a pleasure meeting you, Erileigh, and I wanted to thank you for the interview. 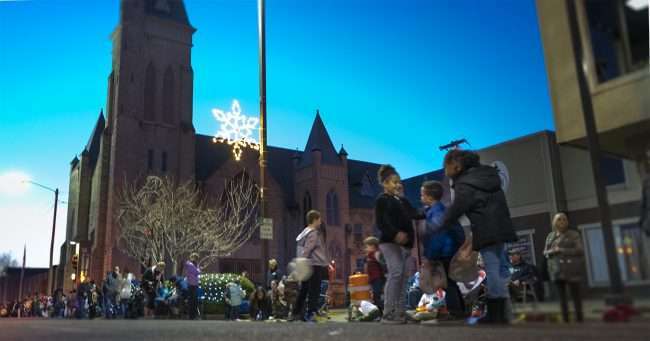 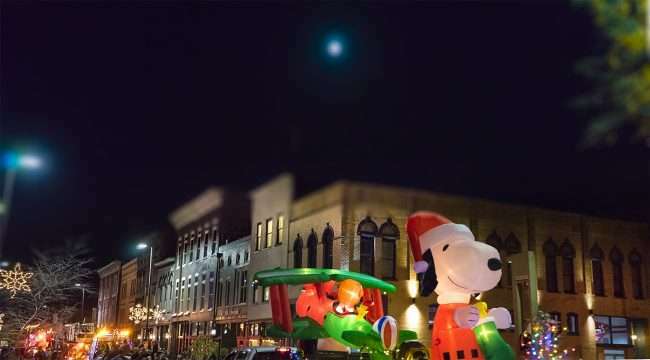 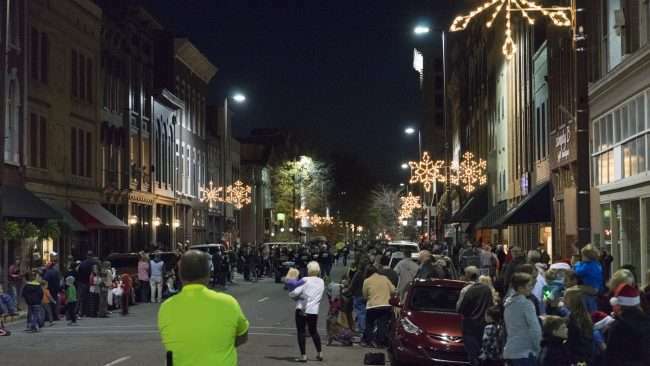 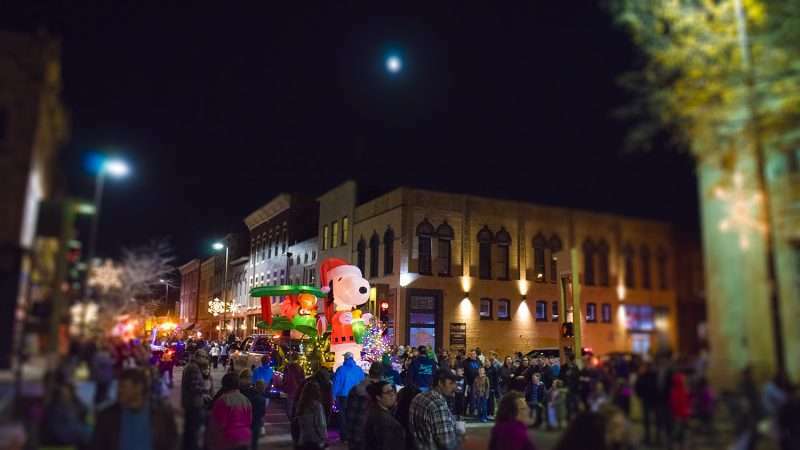 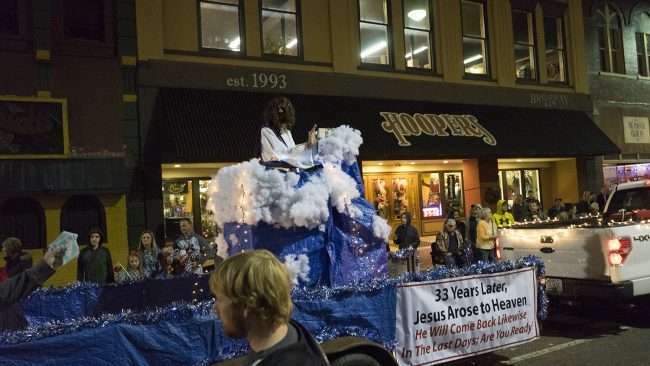 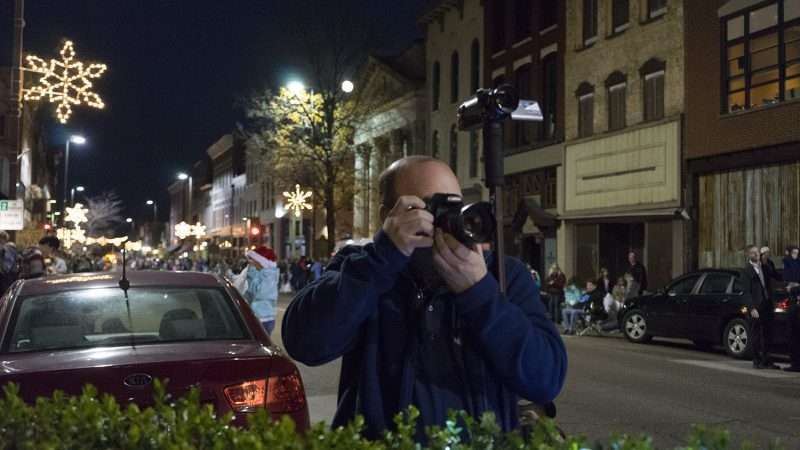 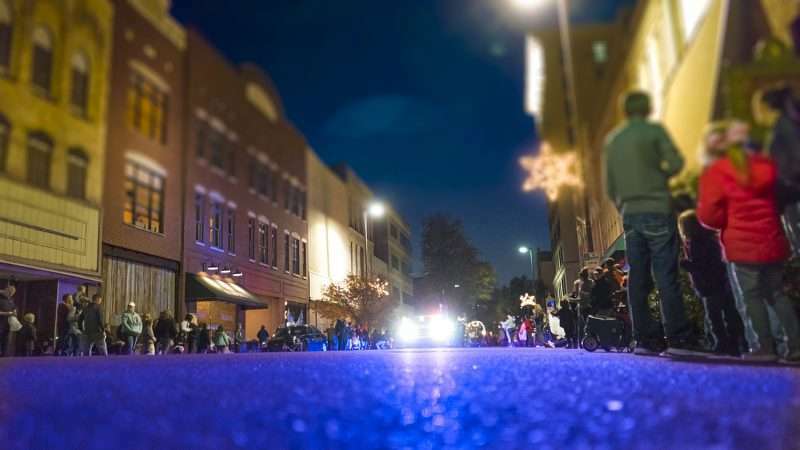 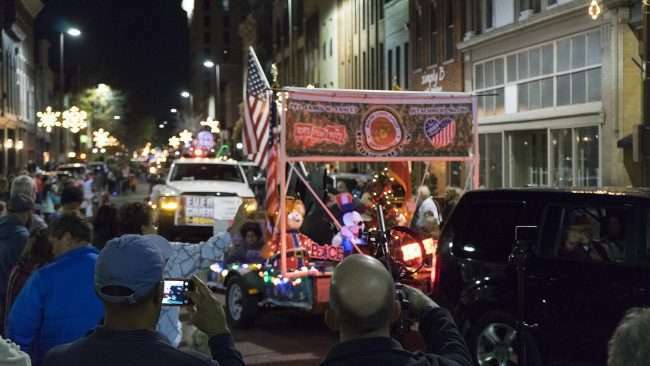 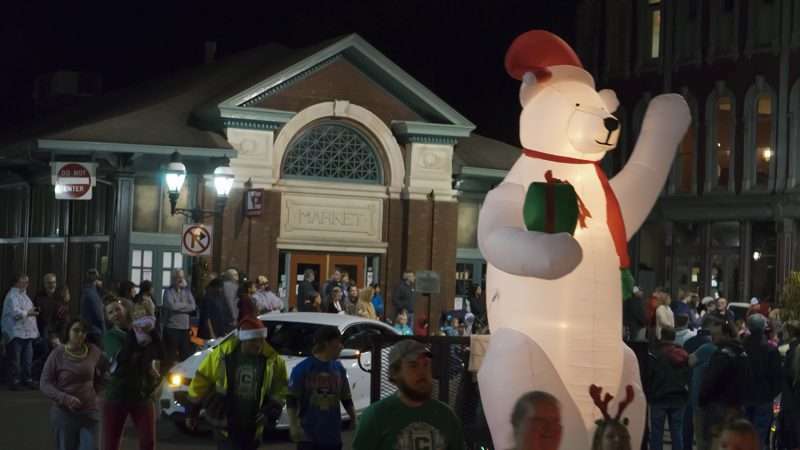 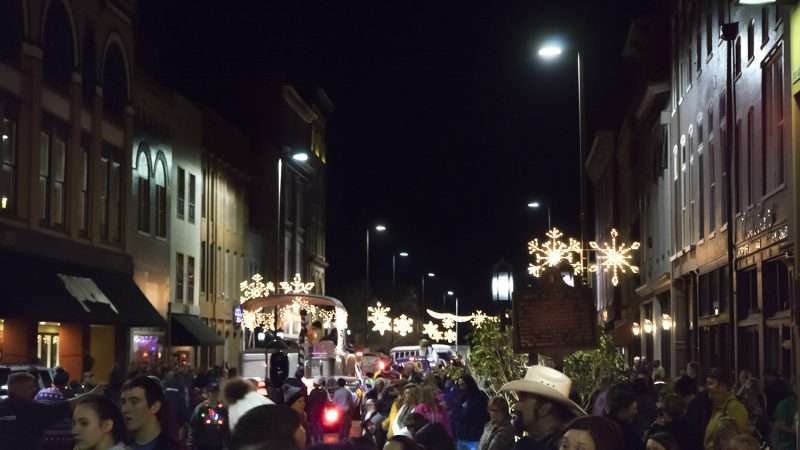 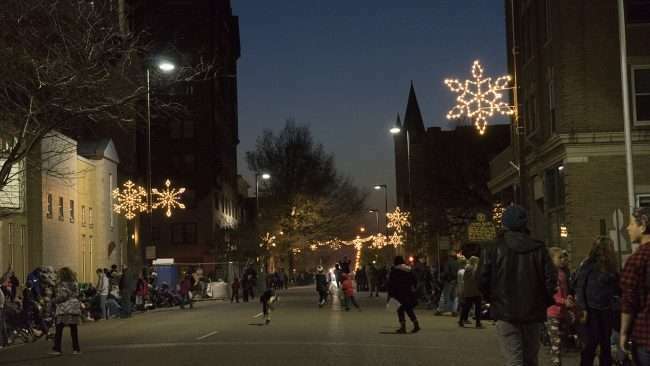 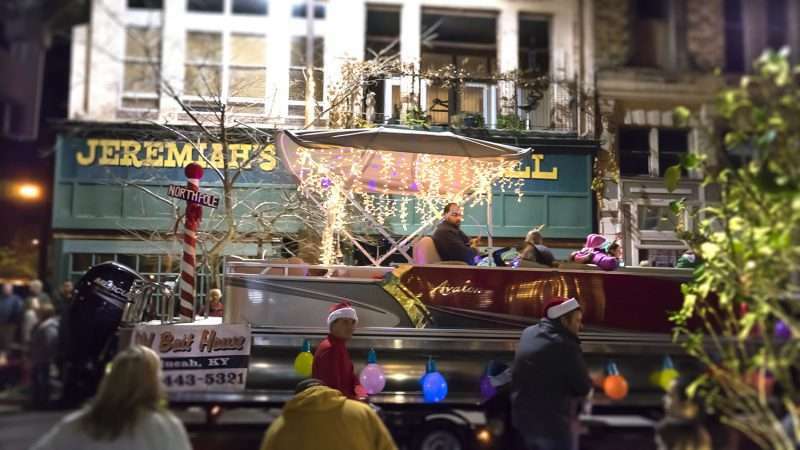 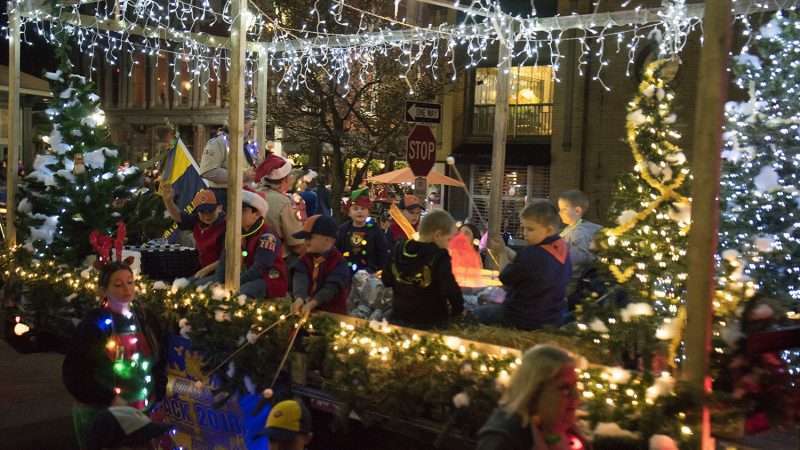 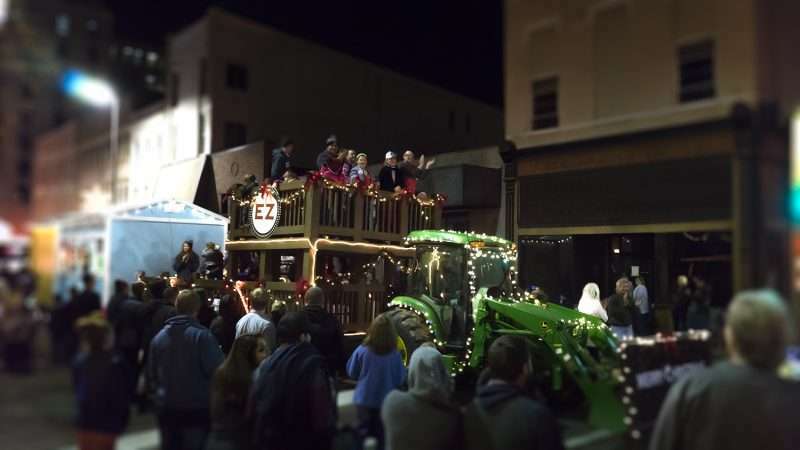 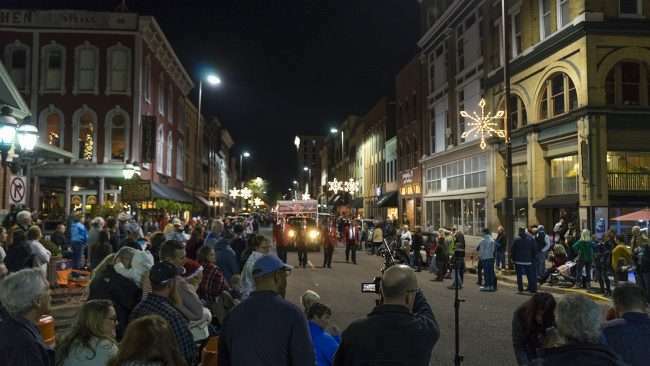 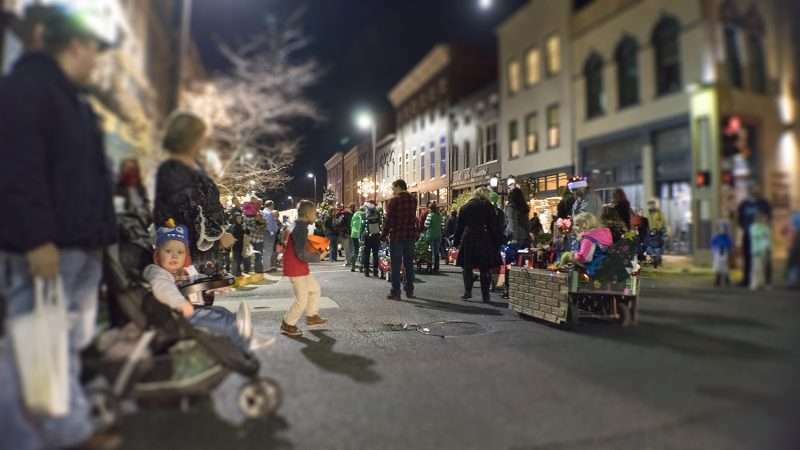 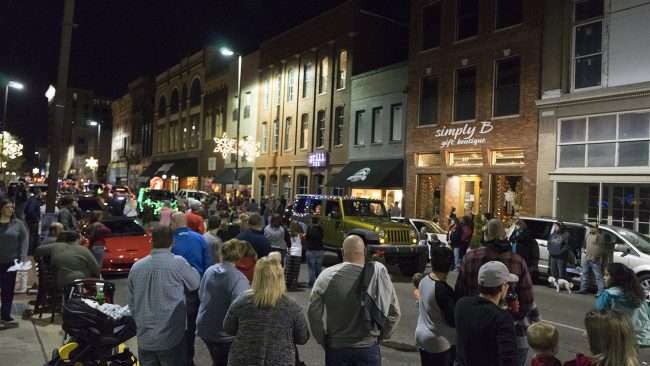 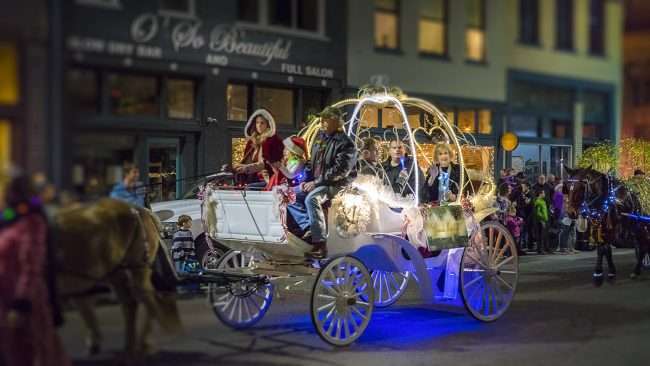 PADUCAH, KY – Paducah’s Let it Glow Christmas Parade had around 100 floats that traveled the opposite direction on Broadway towards the river from 14th to 2nd on December 2nd. It started around 5pm and ended around 7pm. 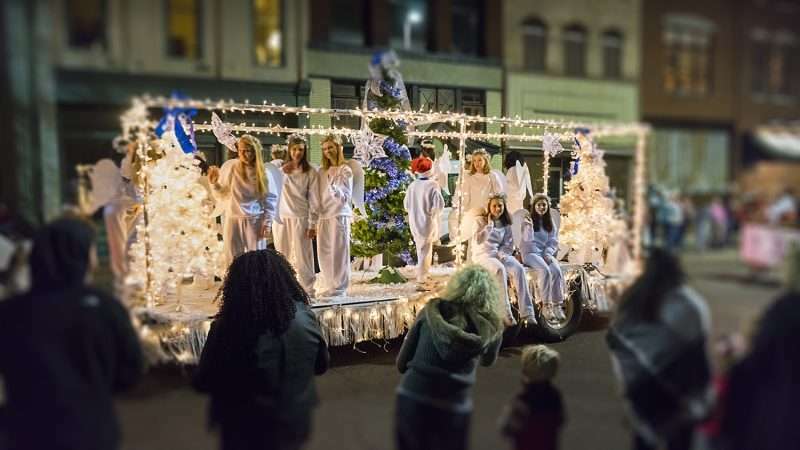 This years theme was Let it Glow, Let it Glow, Let it Glow. 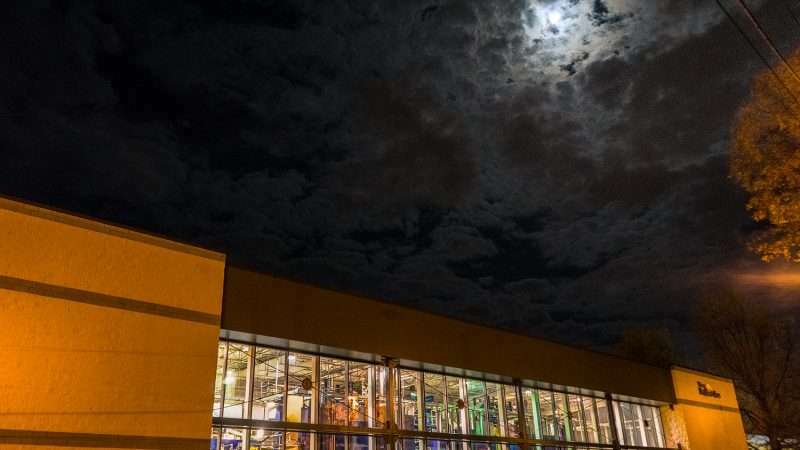 Music and lights were required for all participants. 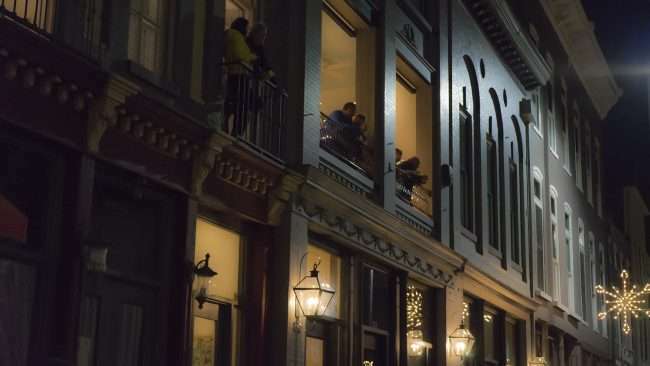 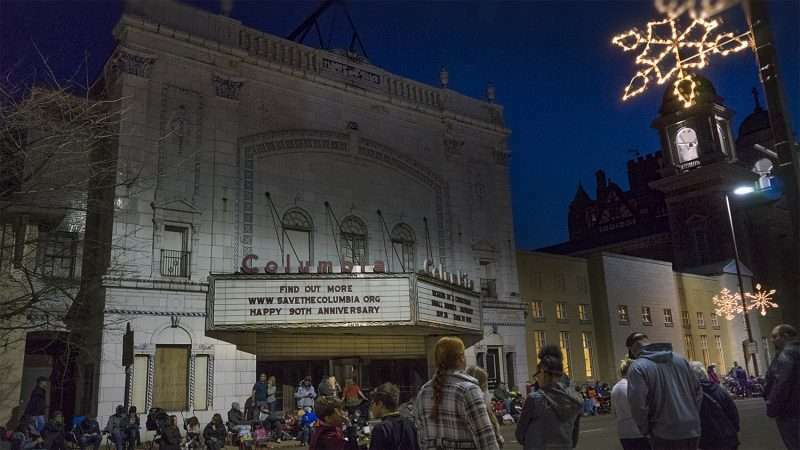 It was a wonderful site to see all the people watching the glowing-musical floats from the balconies, restaurants and from the sidewalks as well. 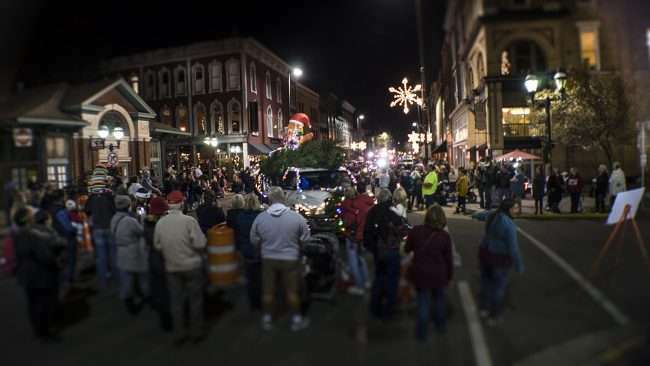 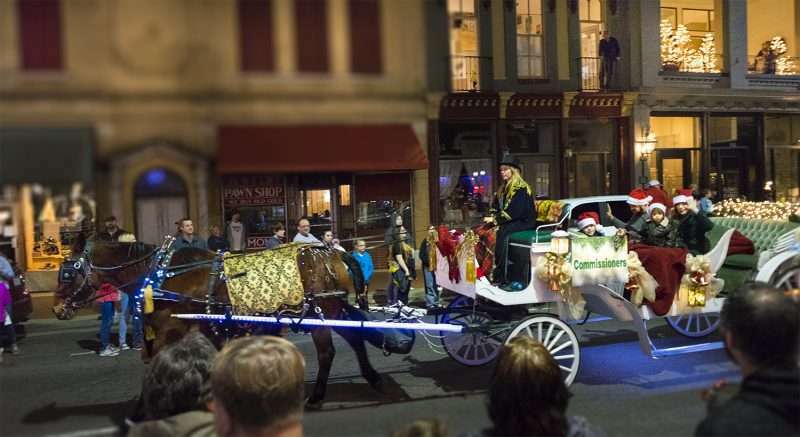 More detailed information on the Christmas Parade can be found at: paducahky.gov/christmas-parade. 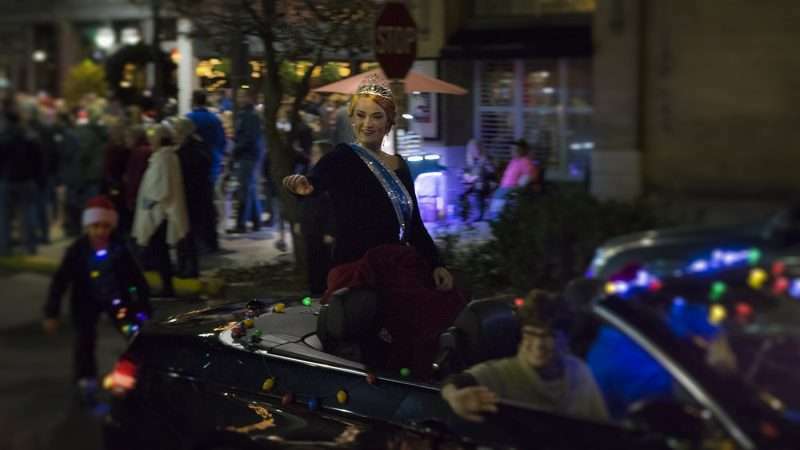 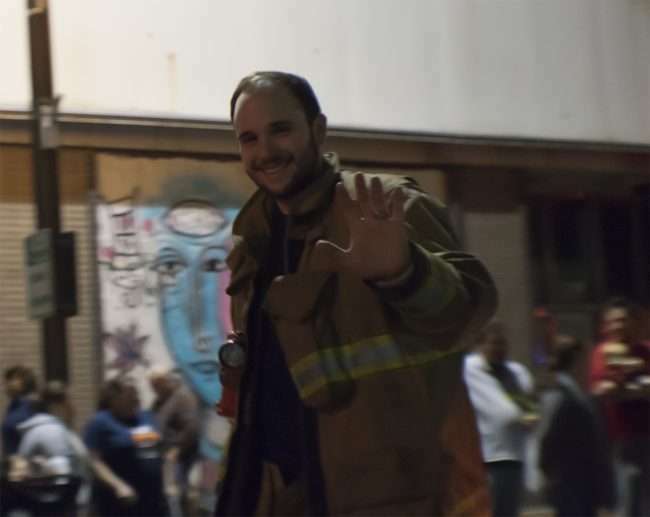 Below are random photos of the crowd and floats during Paducah’s Let it Glow Christmas Parade 2017. 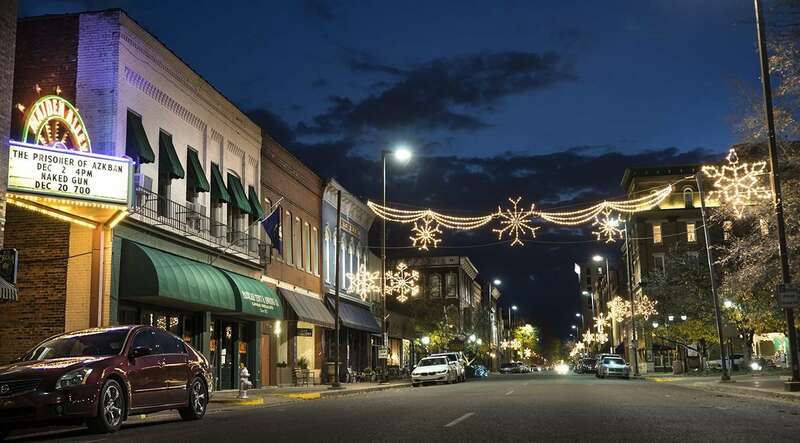 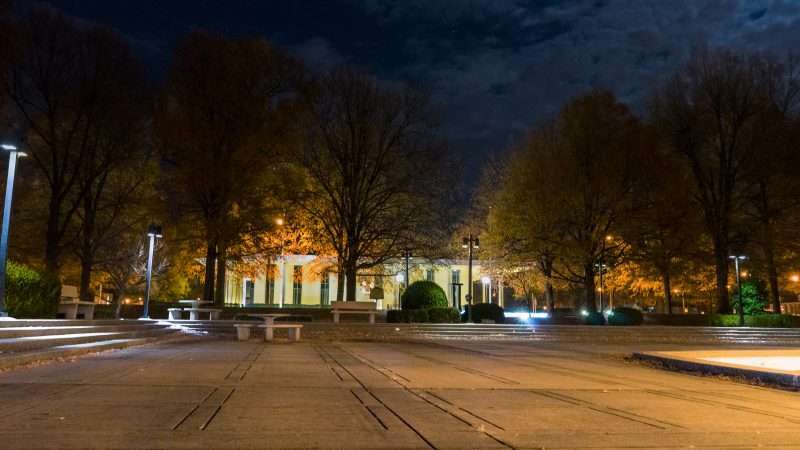 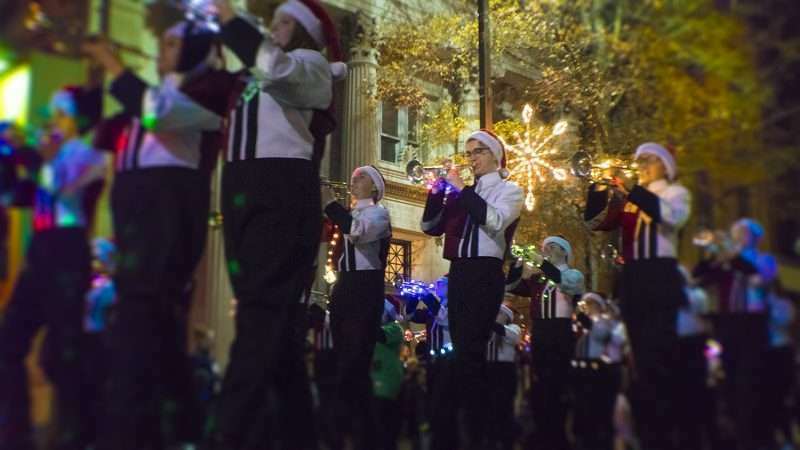 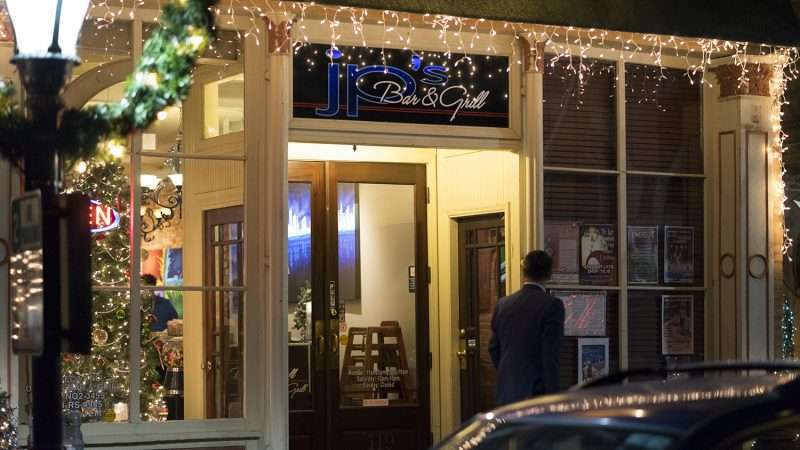 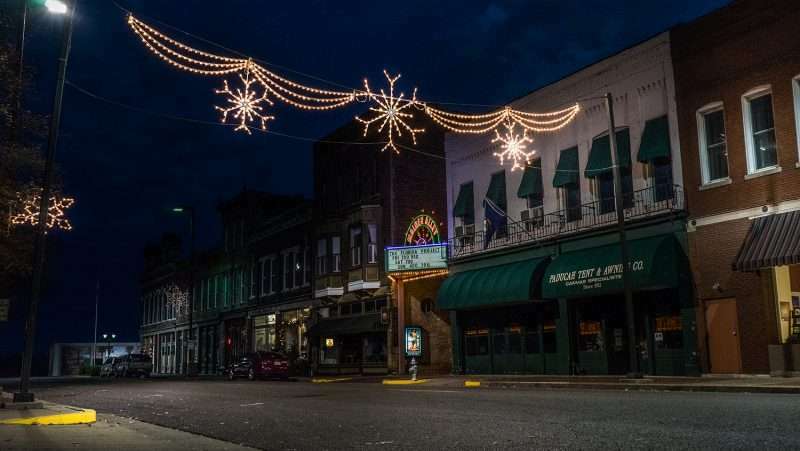 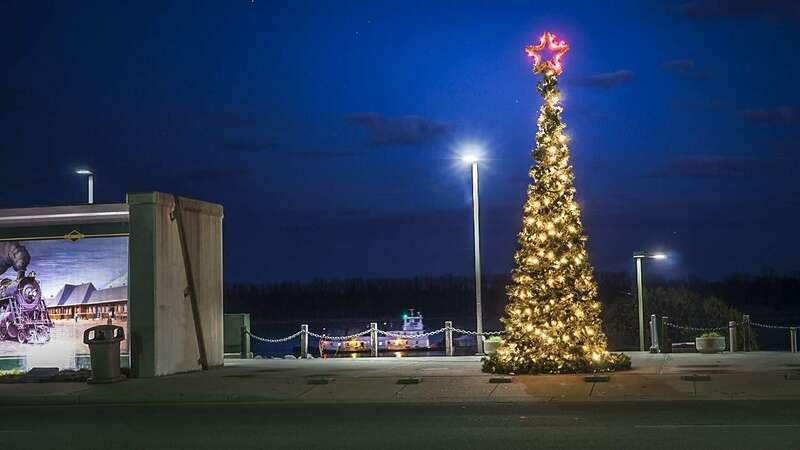 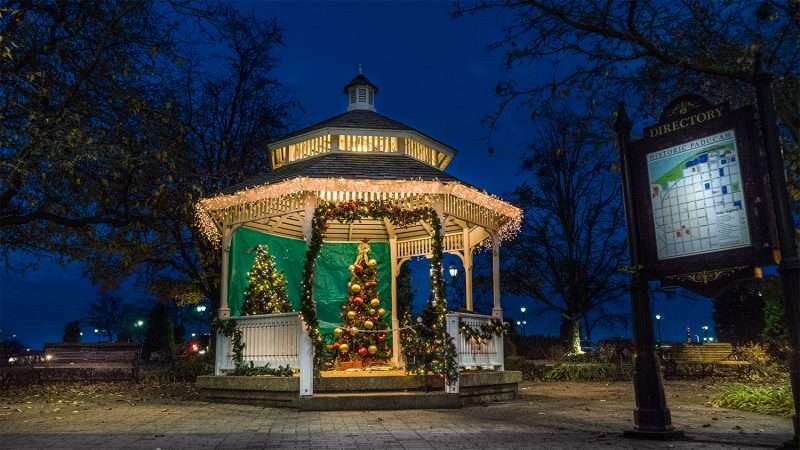 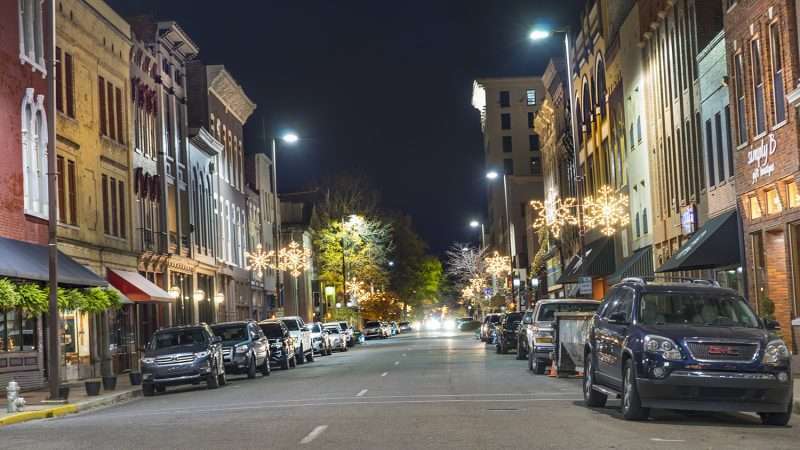 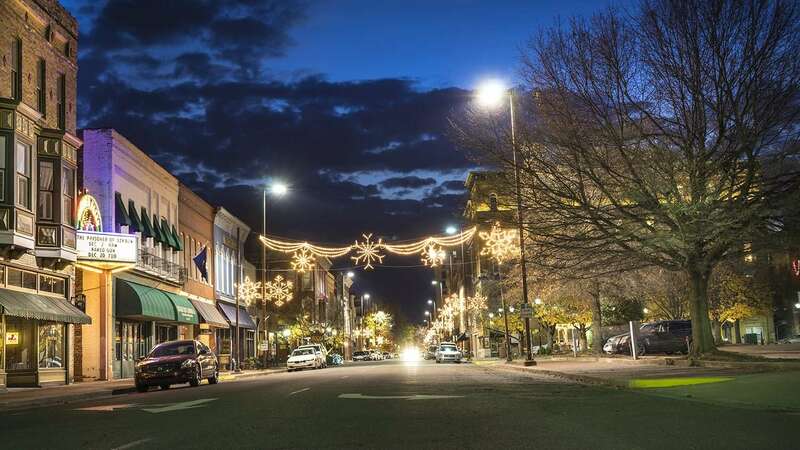 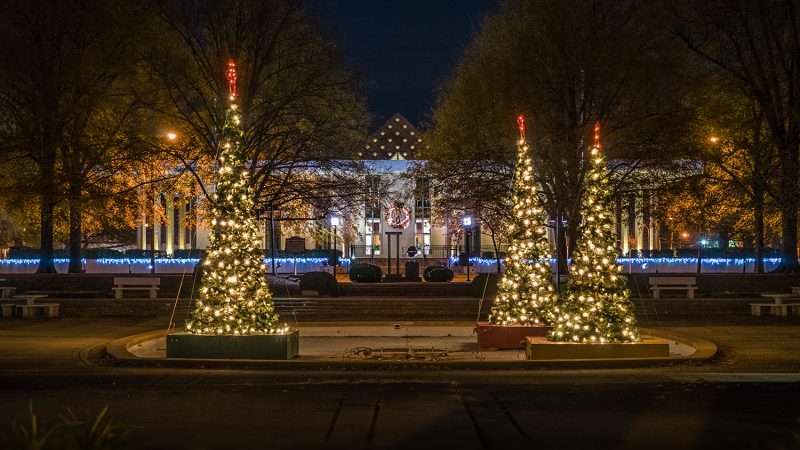 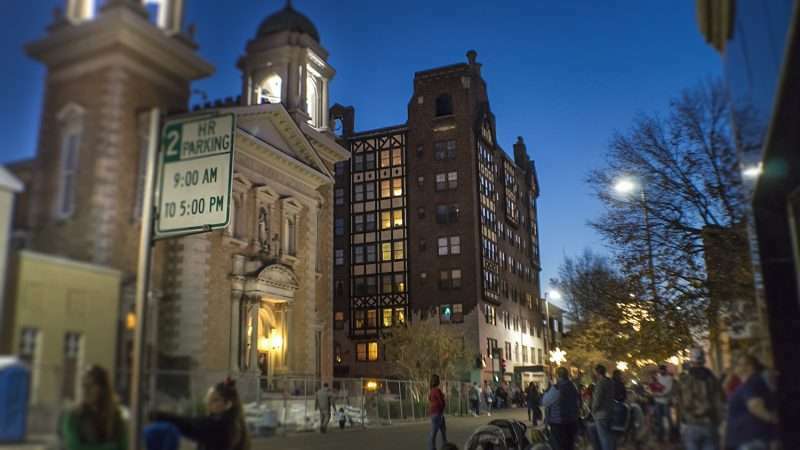 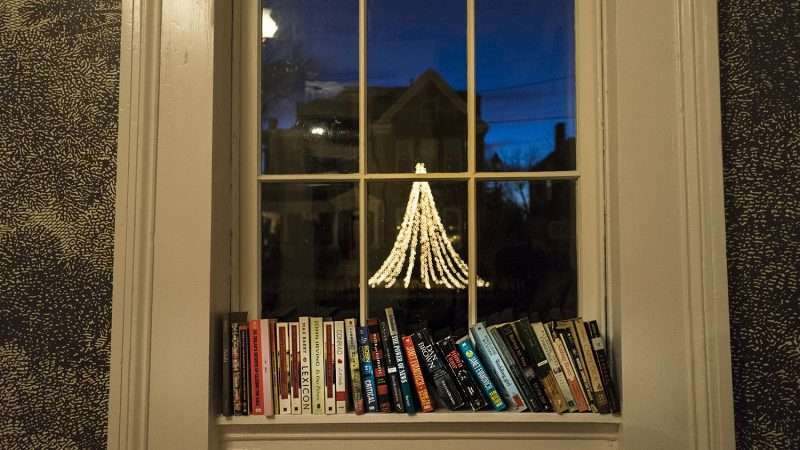 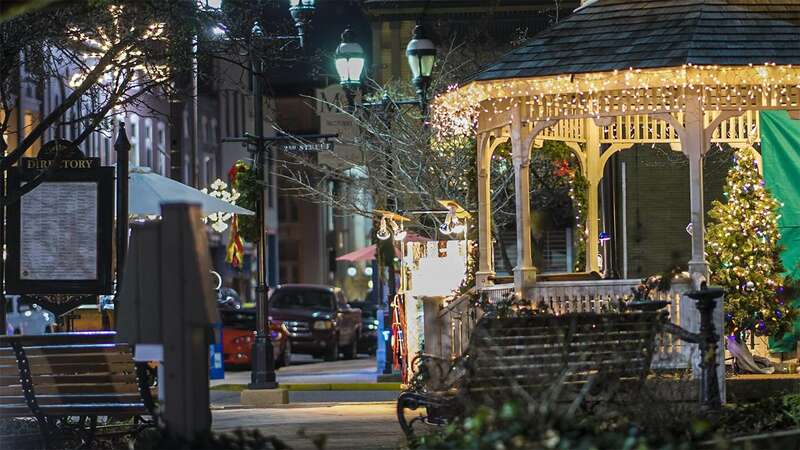 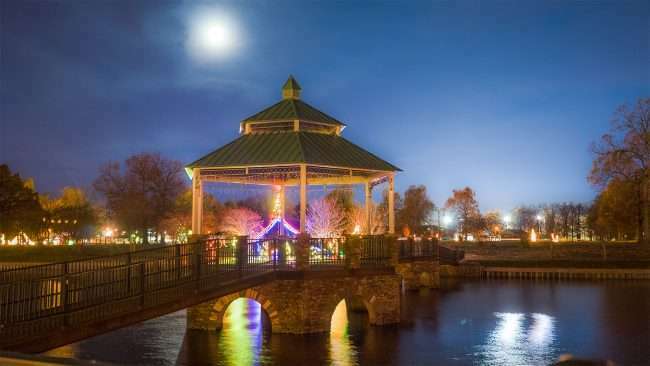 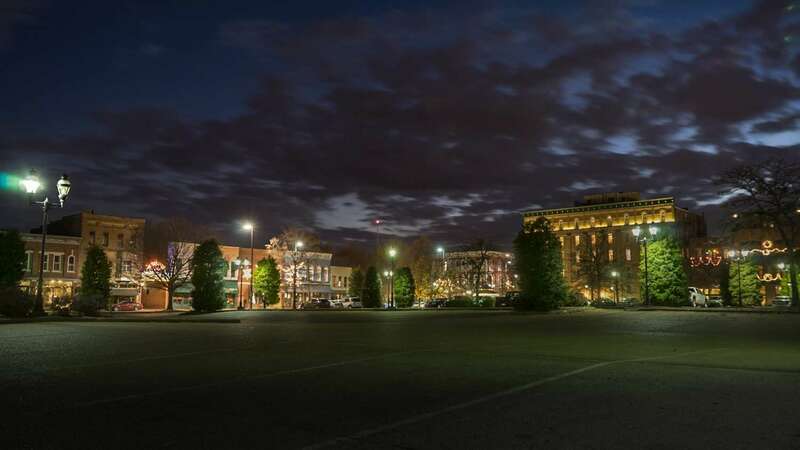 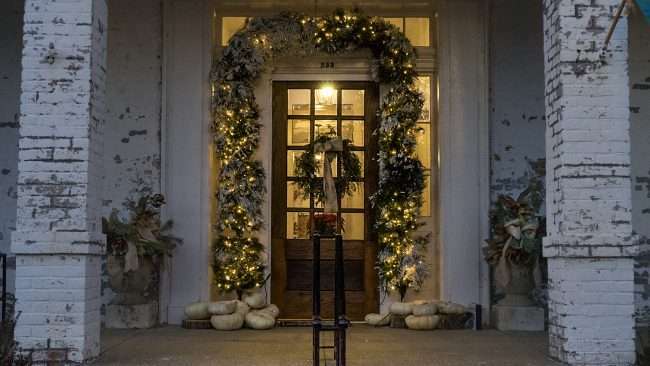 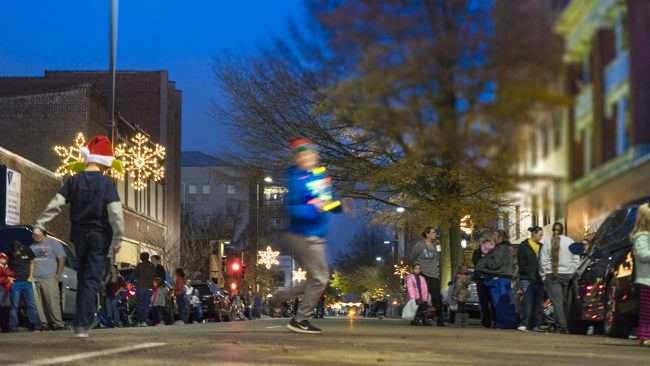 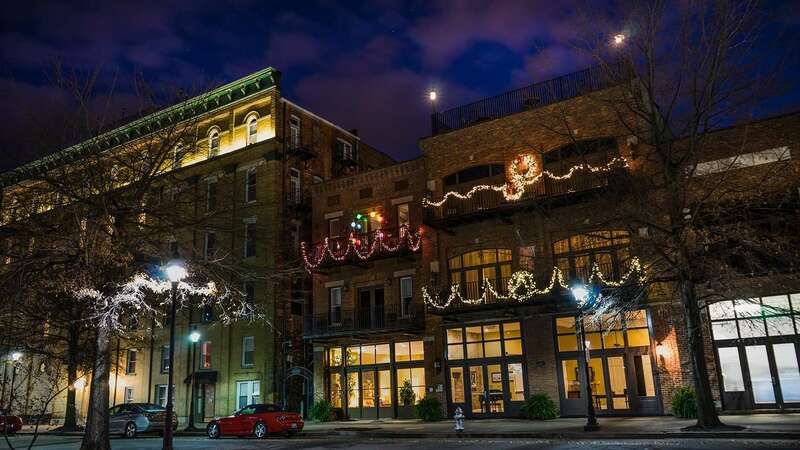 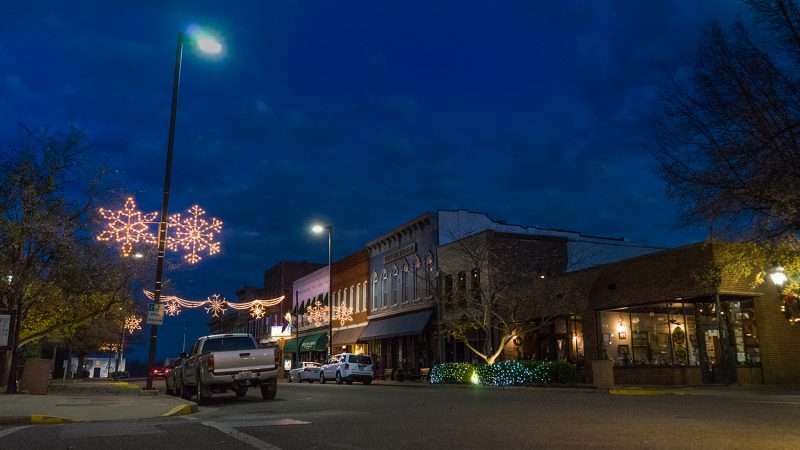 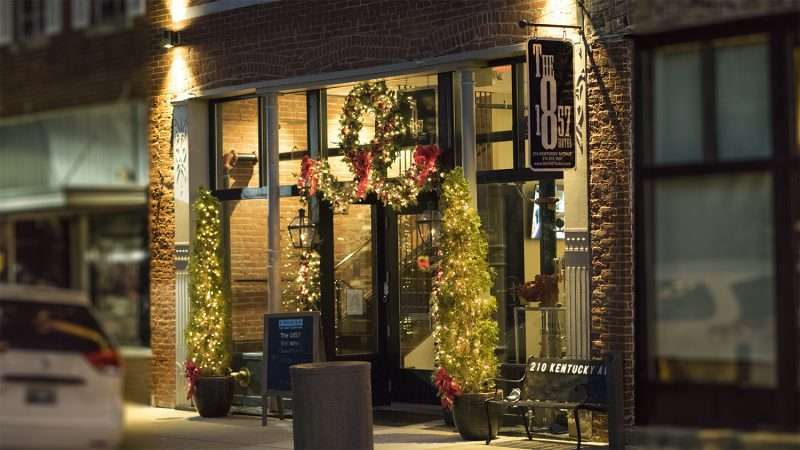 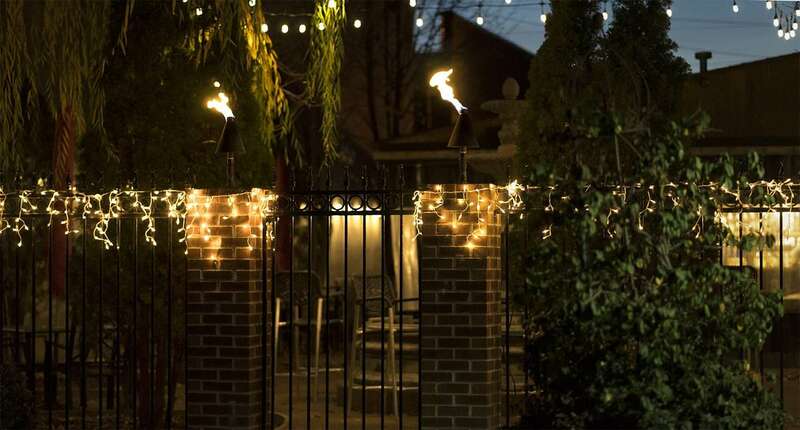 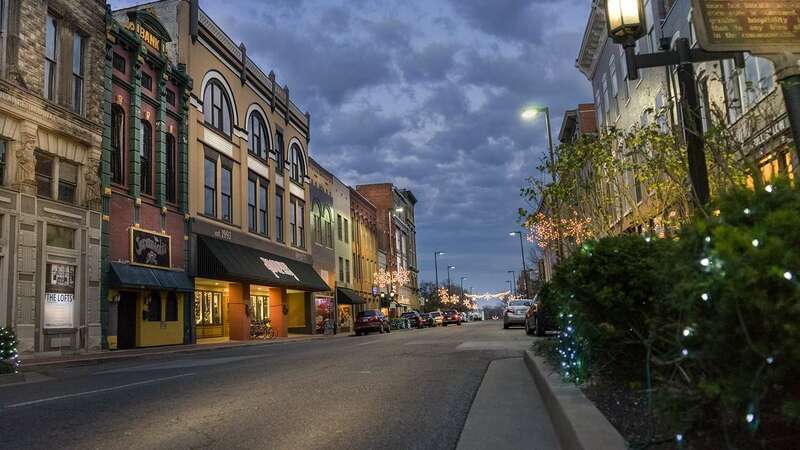 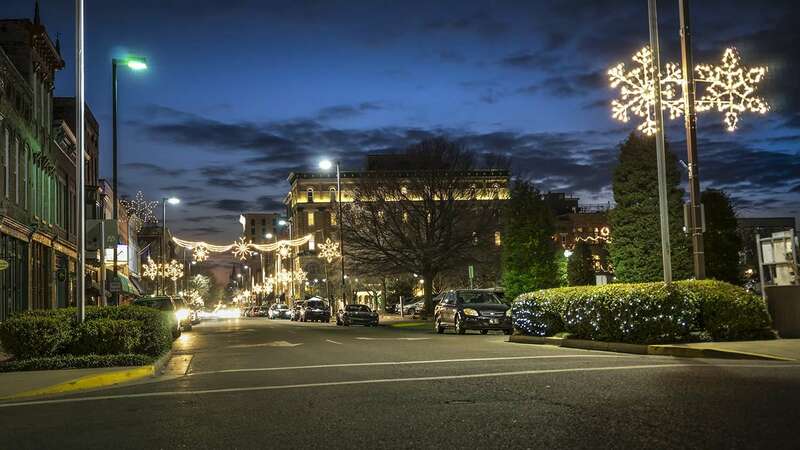 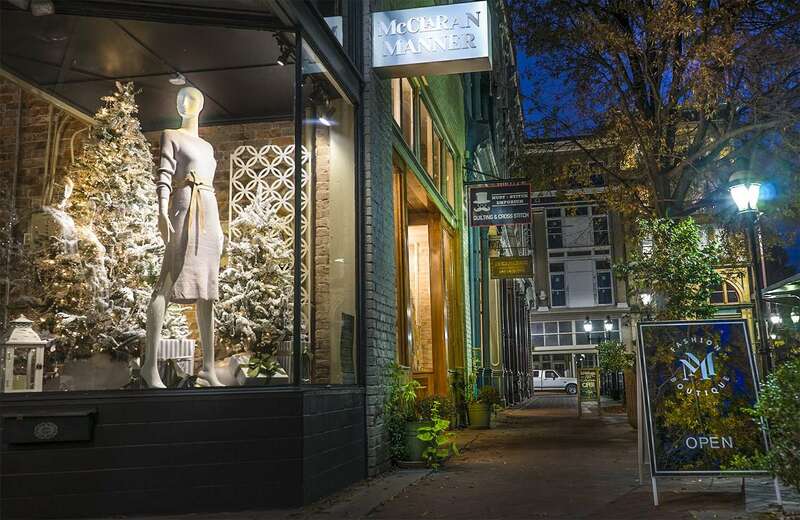 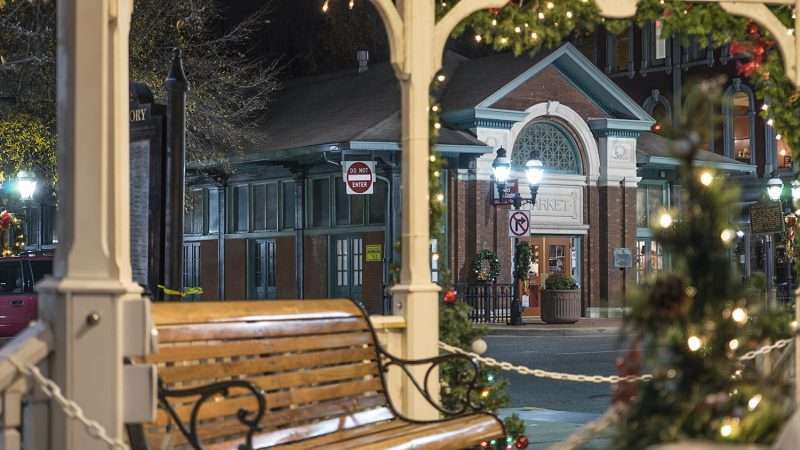 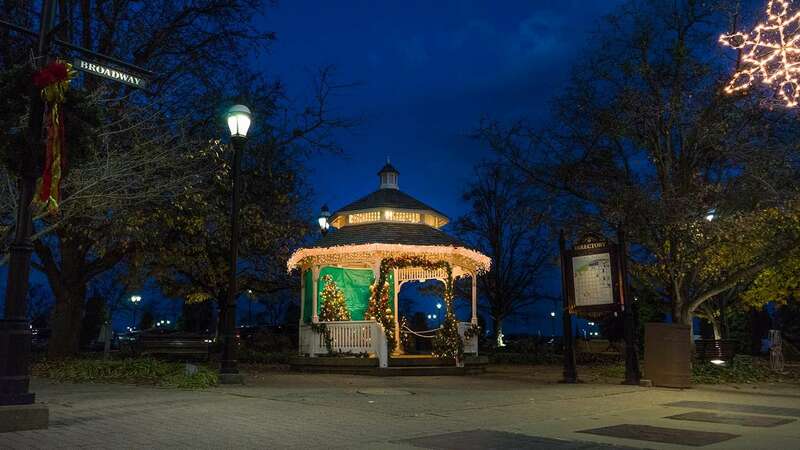 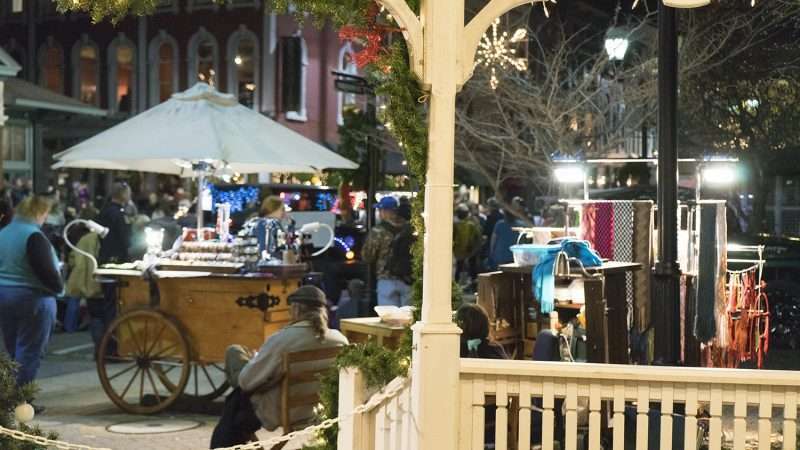 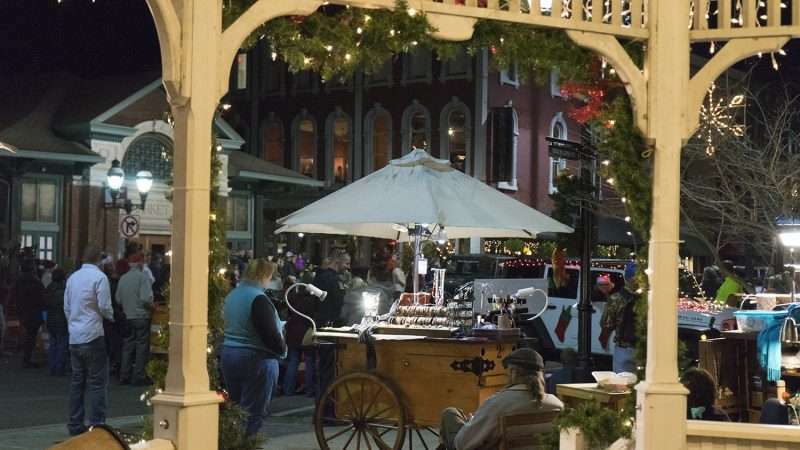 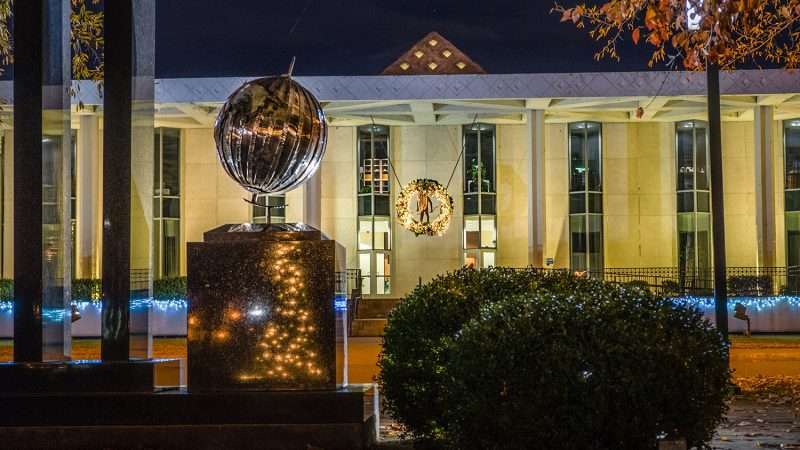 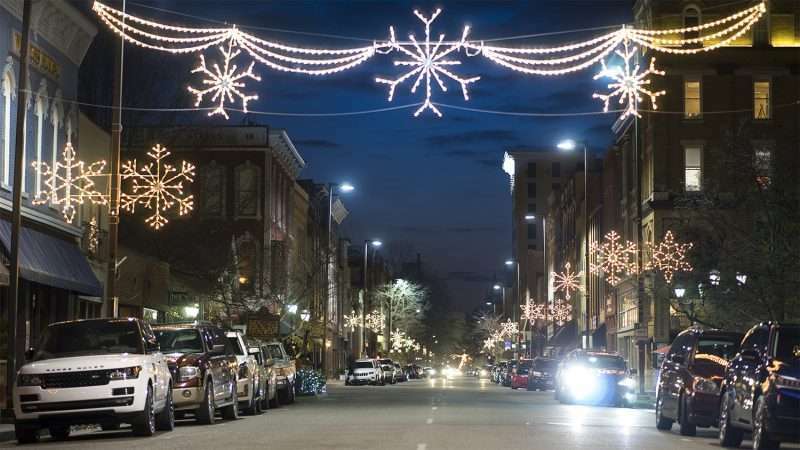 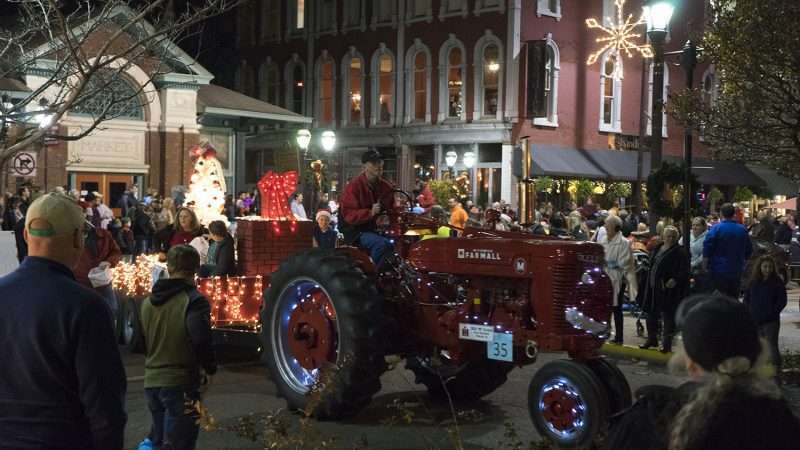 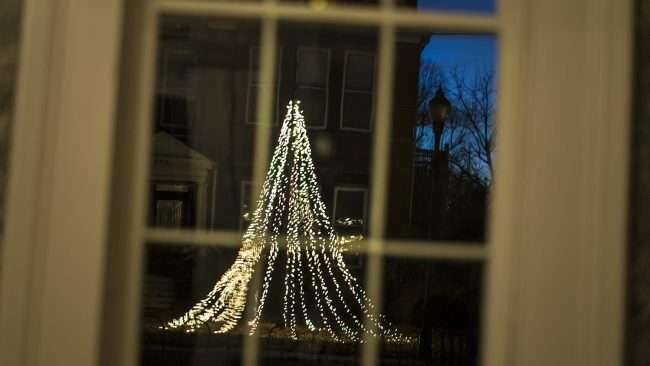 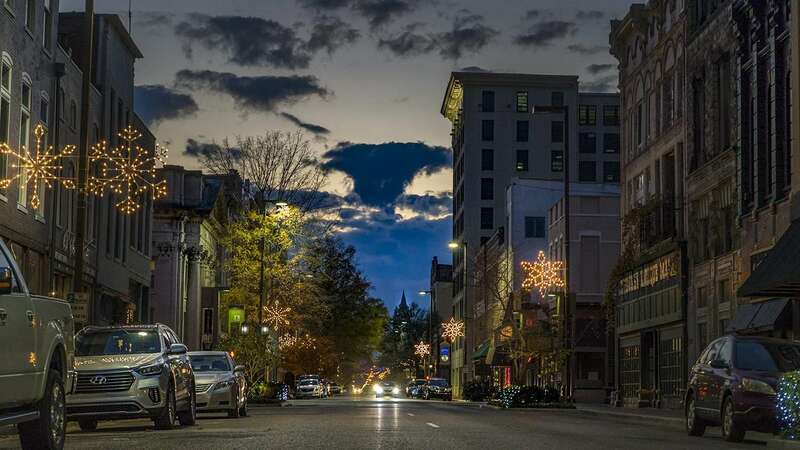 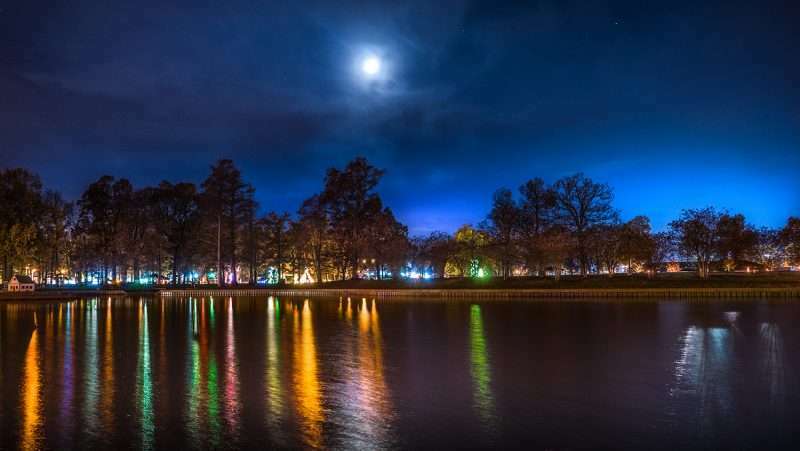 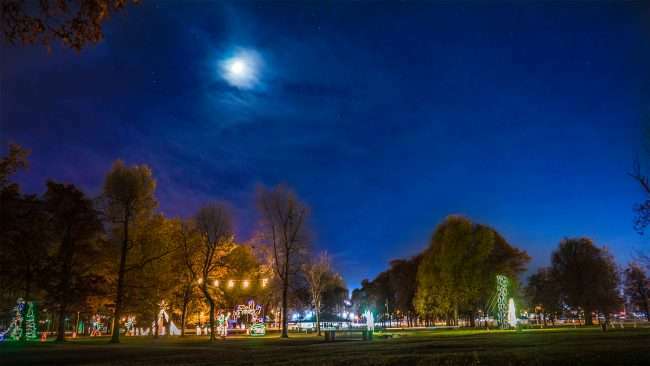 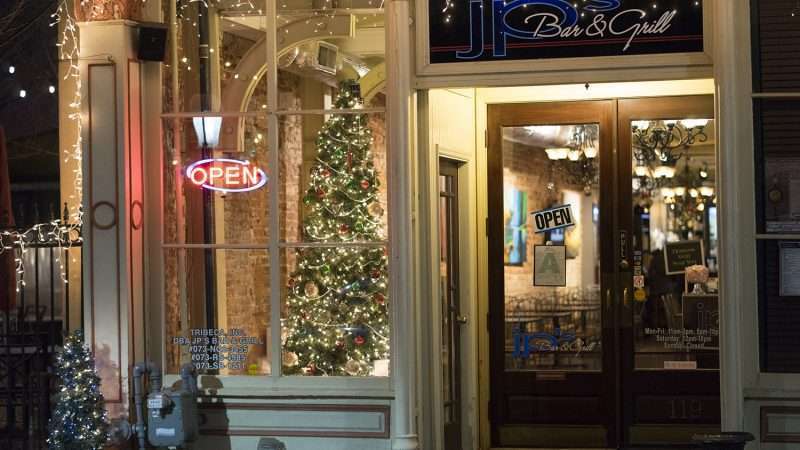 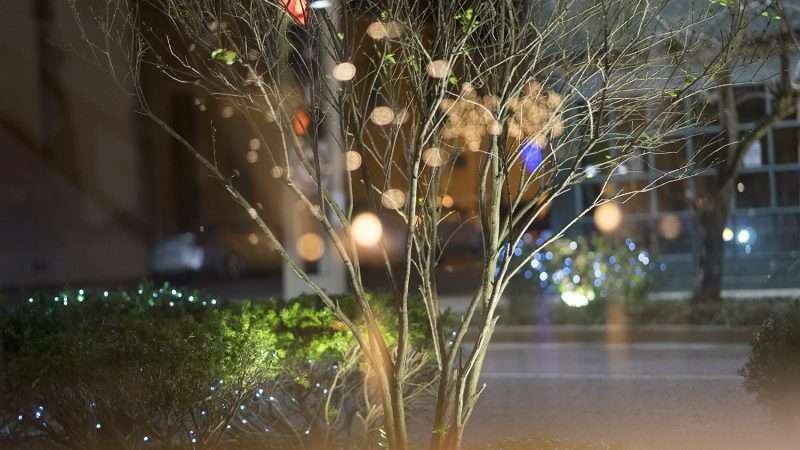 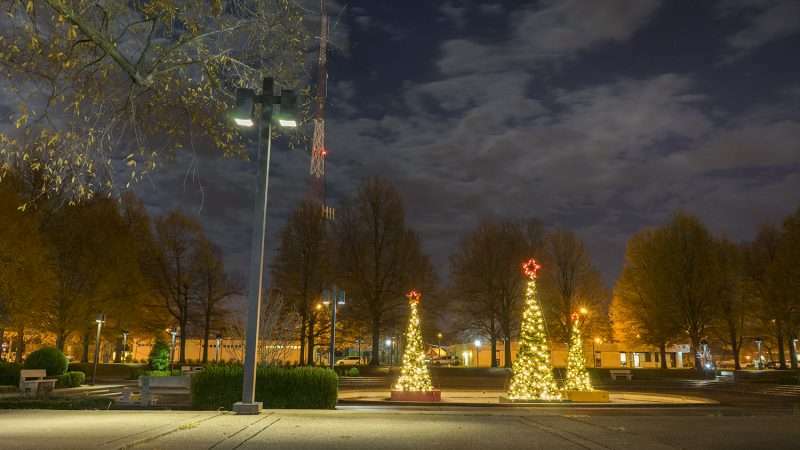 PADUCAH, KY – Beautiful Christmas lights and holiday decorations can be found on just about every corner in the historic downtown area of Paducah, KY. 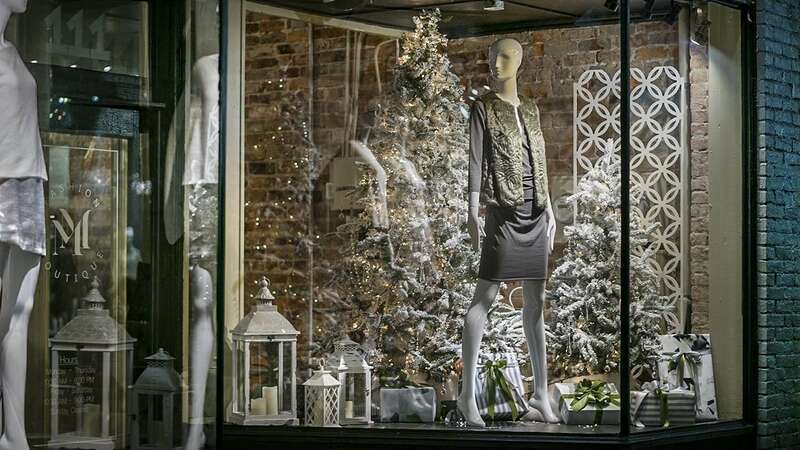 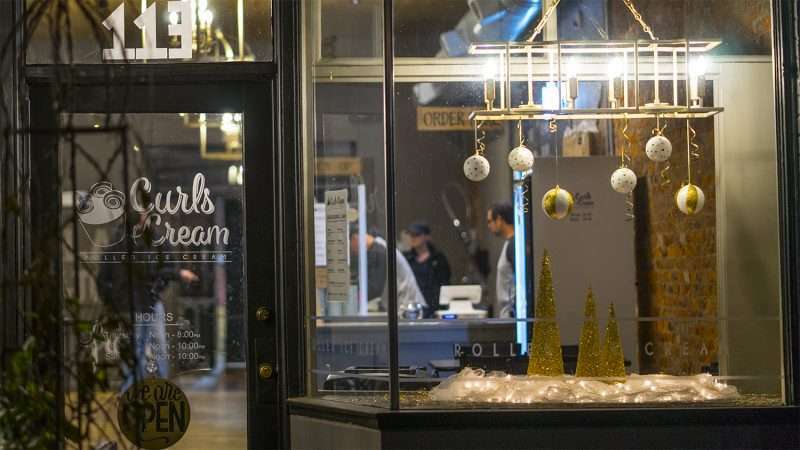 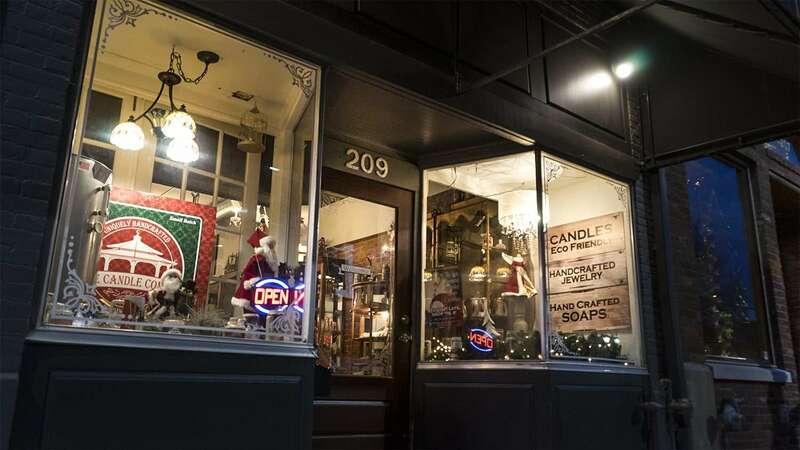 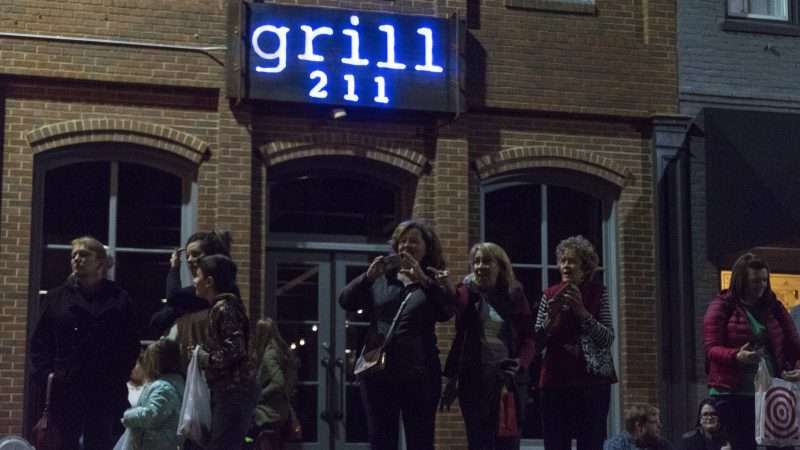 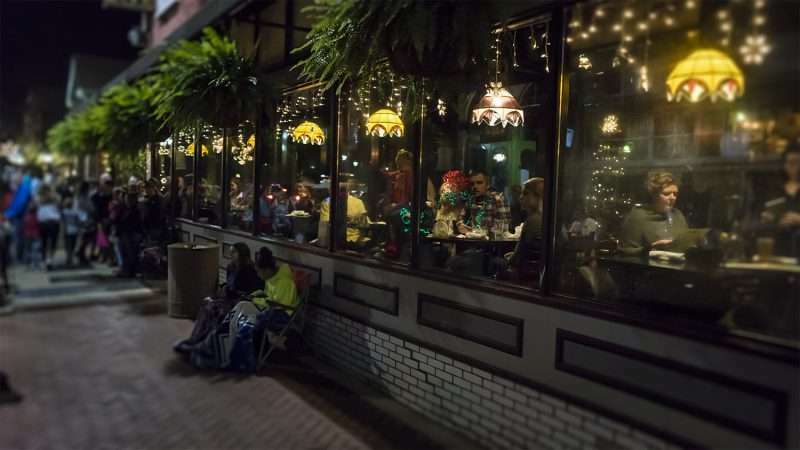 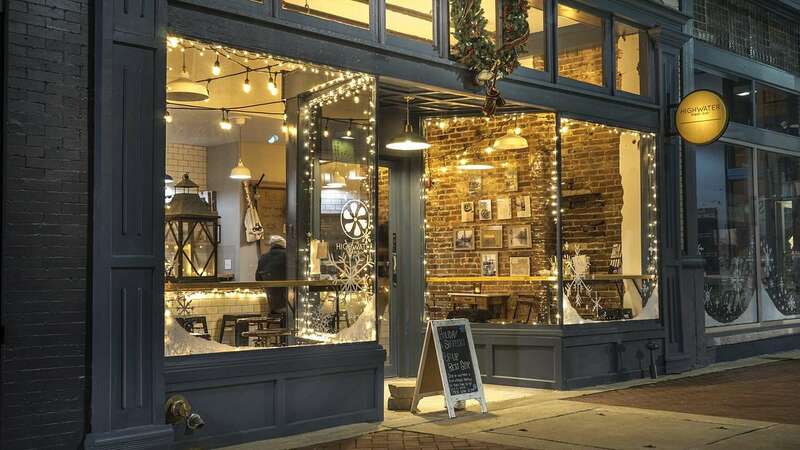 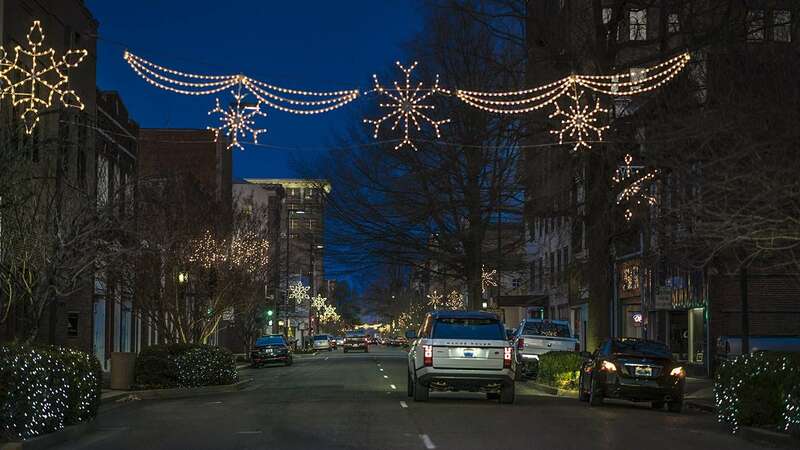 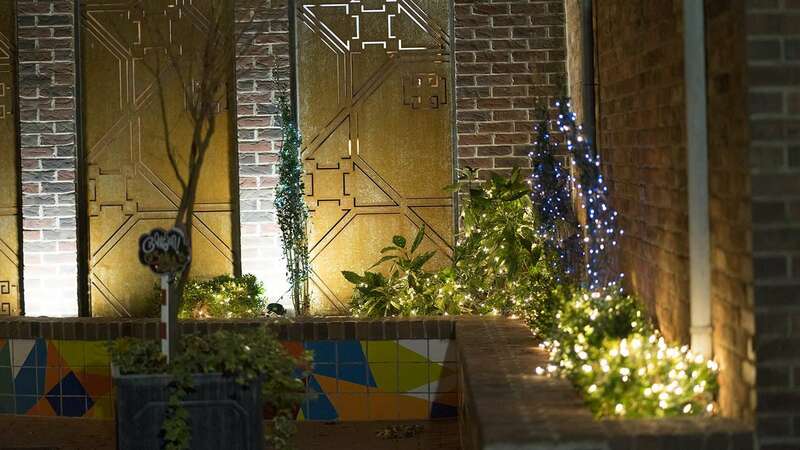 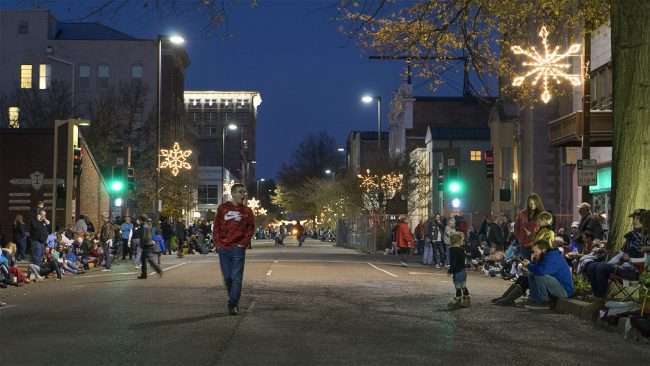 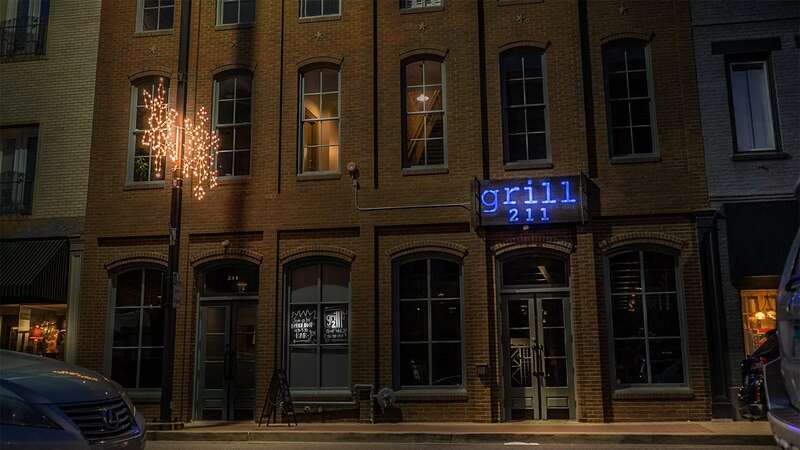 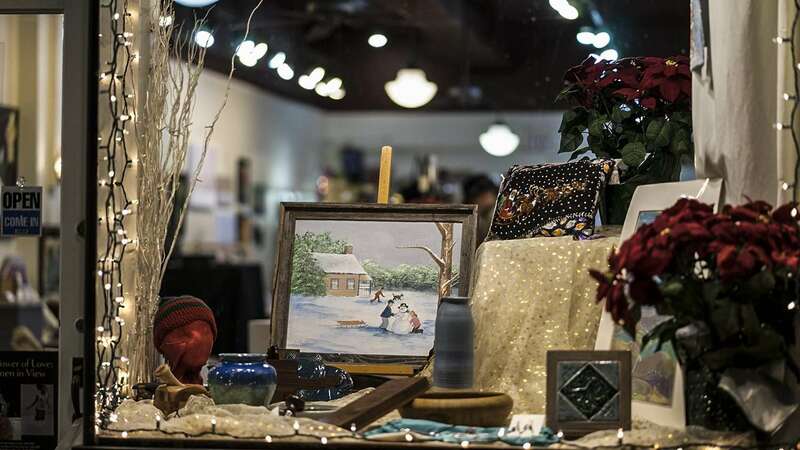 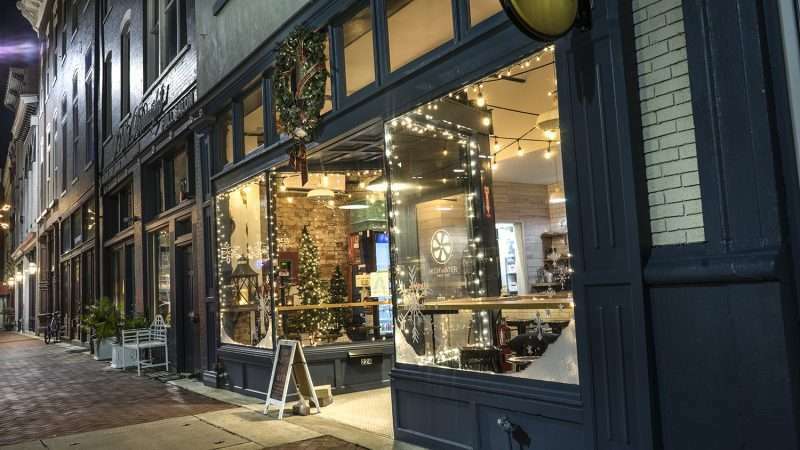 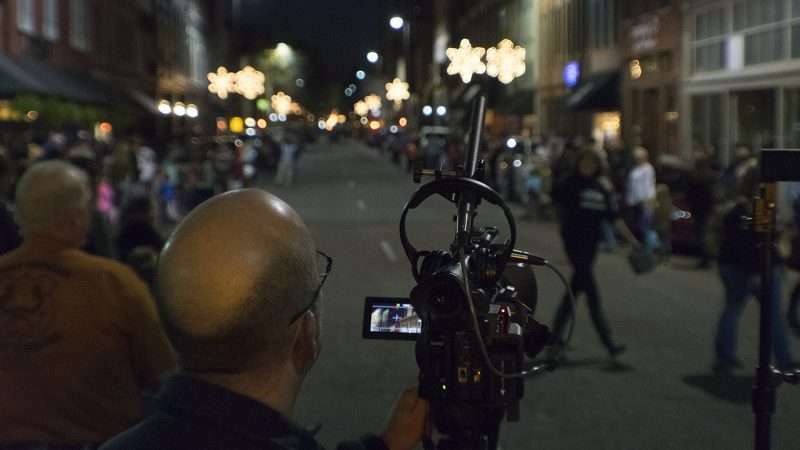 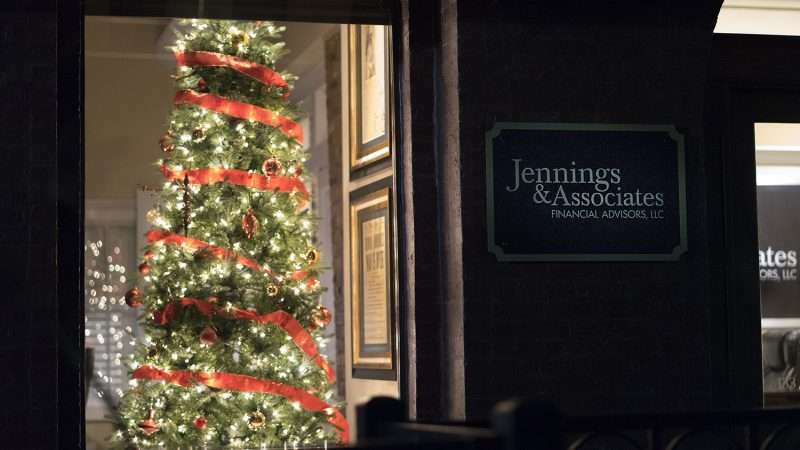 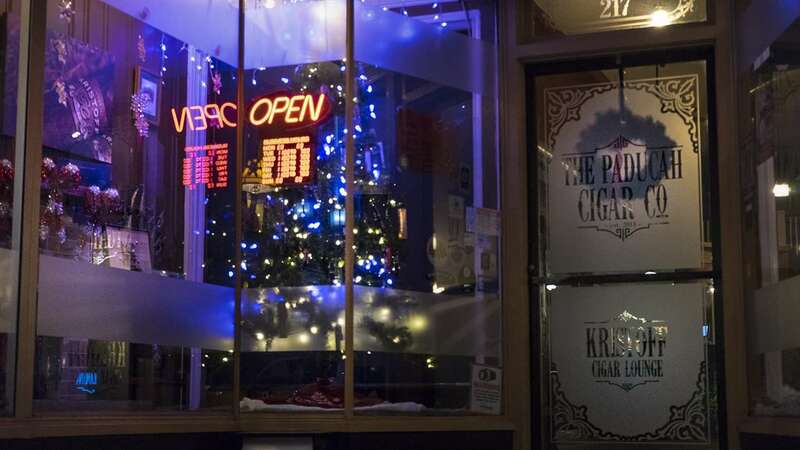 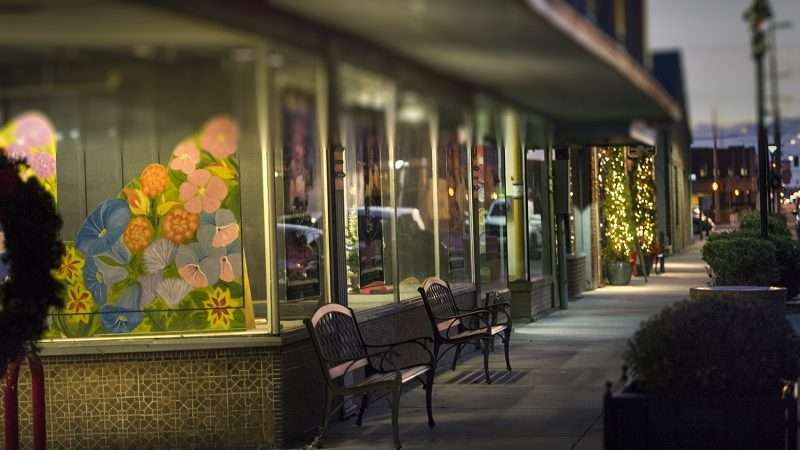 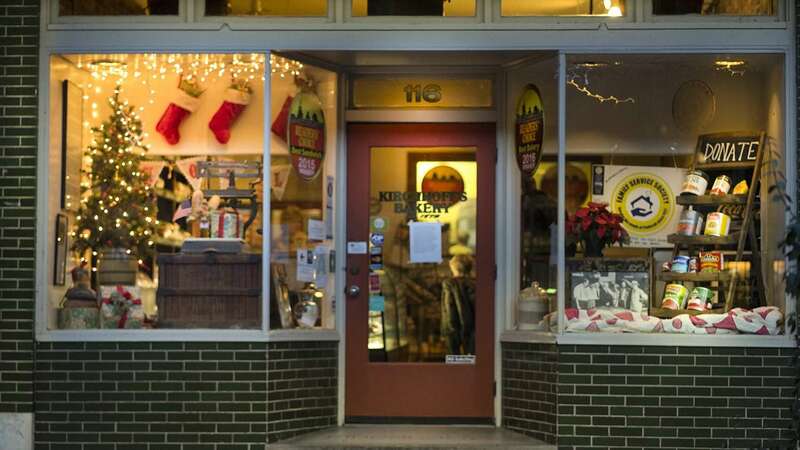 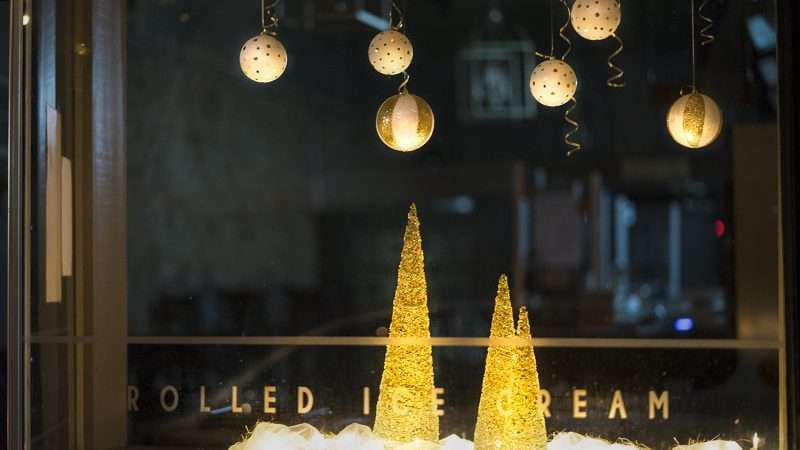 The city along with locally-owned downtown businesses have gone out of their way to decorate streets and windows with holiday cheer, and it looks wonderful. 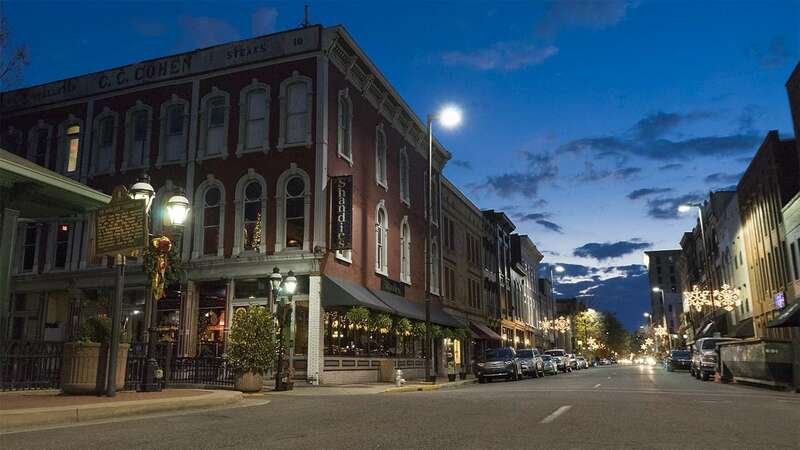 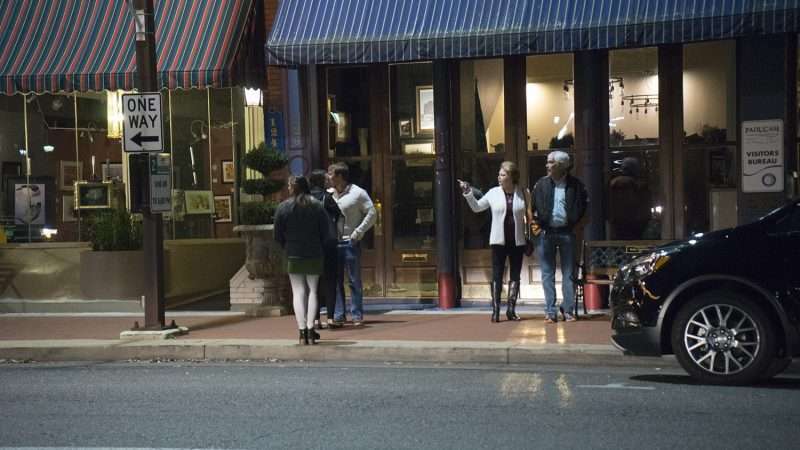 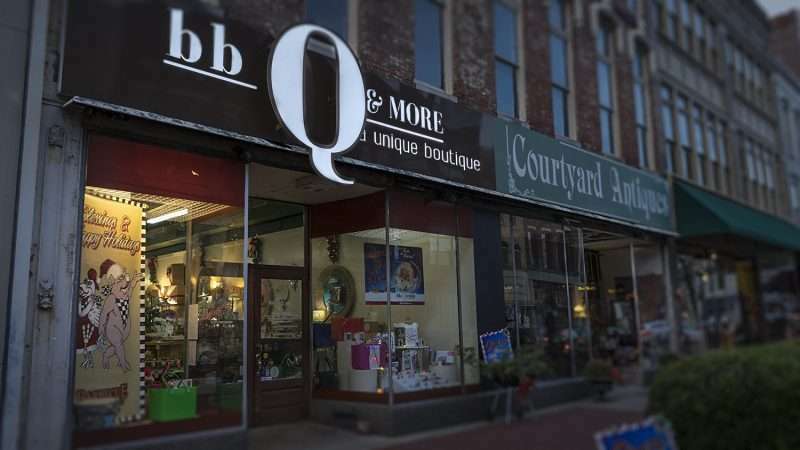 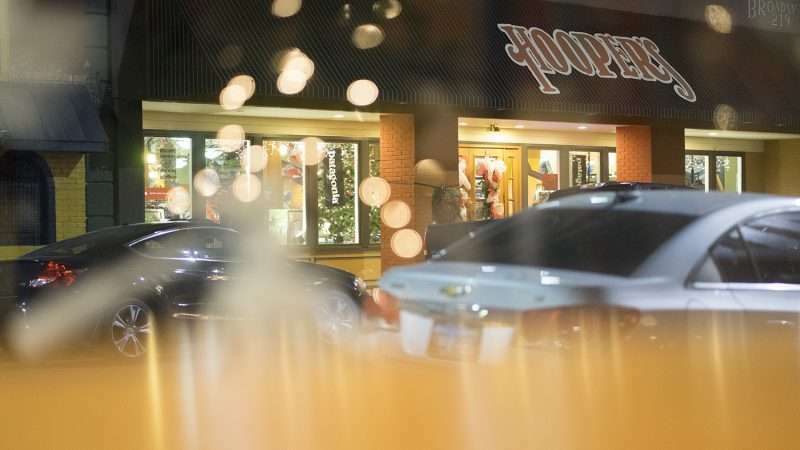 And so it should since downtown Paducah has some of the best restaurants and boutique stores in the nation. 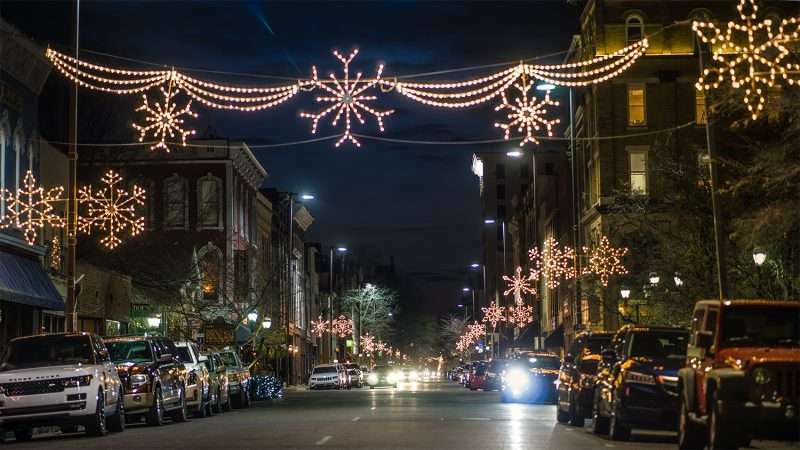 Please remember to shop and eat downtown this Christmas season. 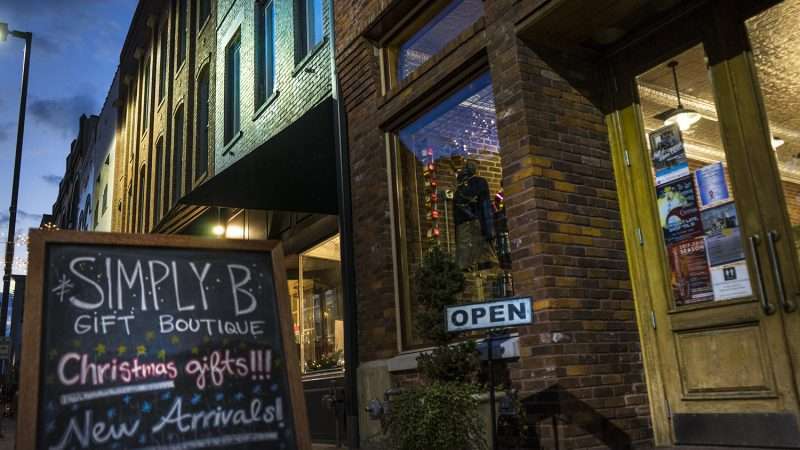 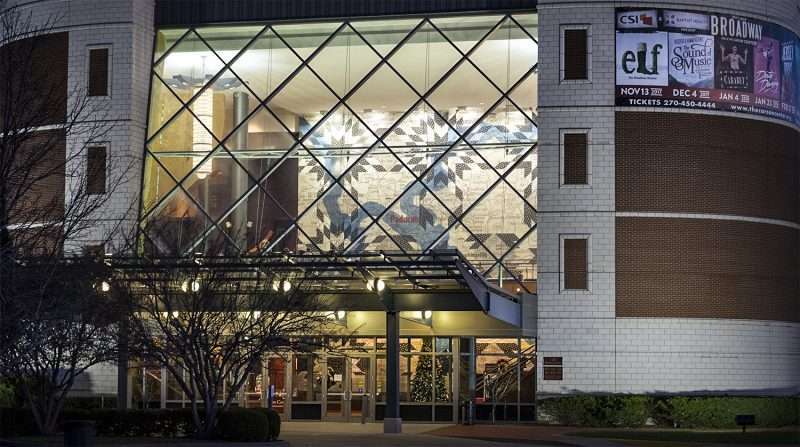 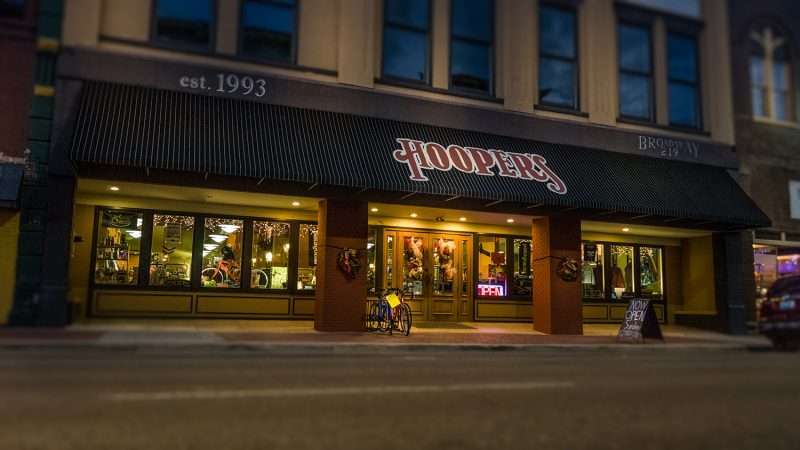 By doing so, you will help keep downtown growing while supporting locally owned businesses as well. 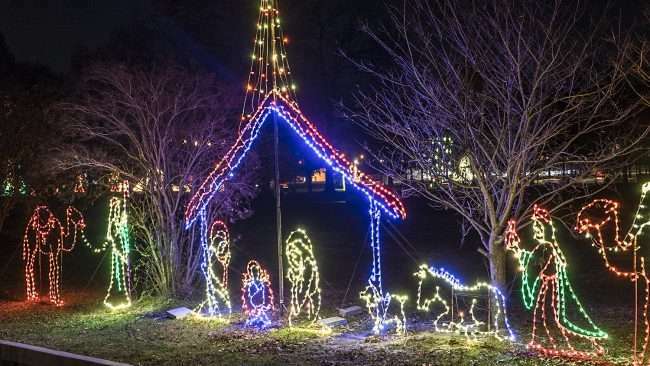 Write in the comment section below about what brings you joy during Christmas – no name or email required. 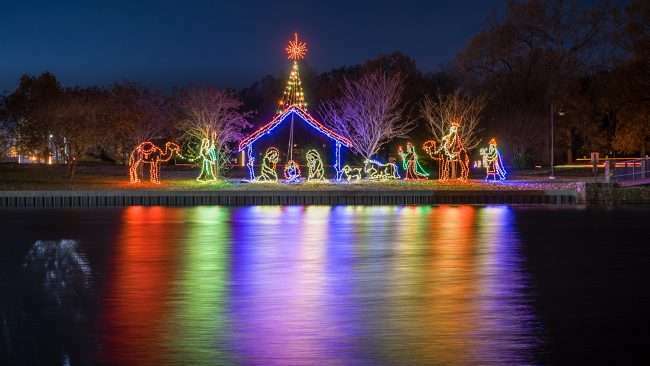 Below are some of the places I visited during Christmas time that brought me great joy. 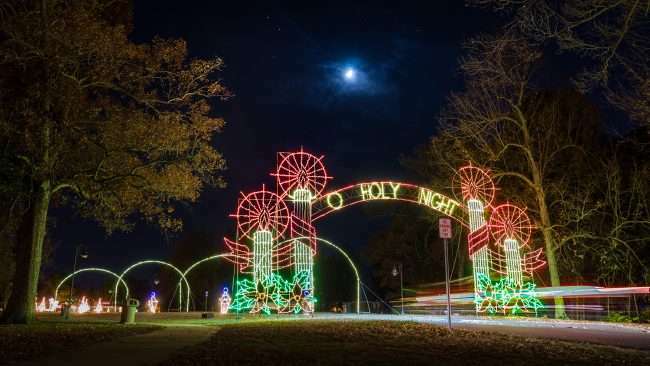 I hope others will enjoy them as well. more to come…. 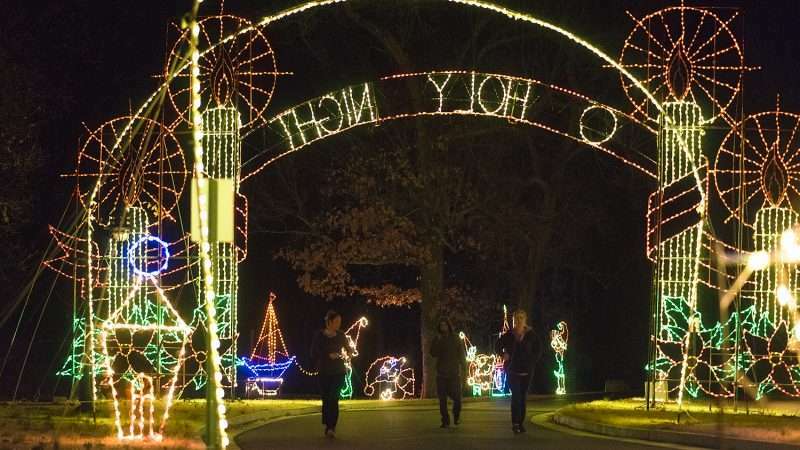 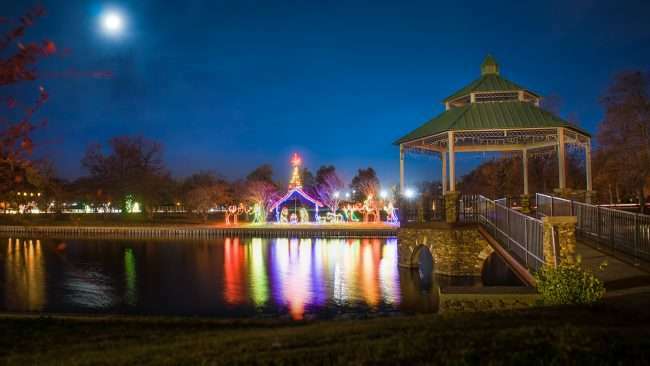 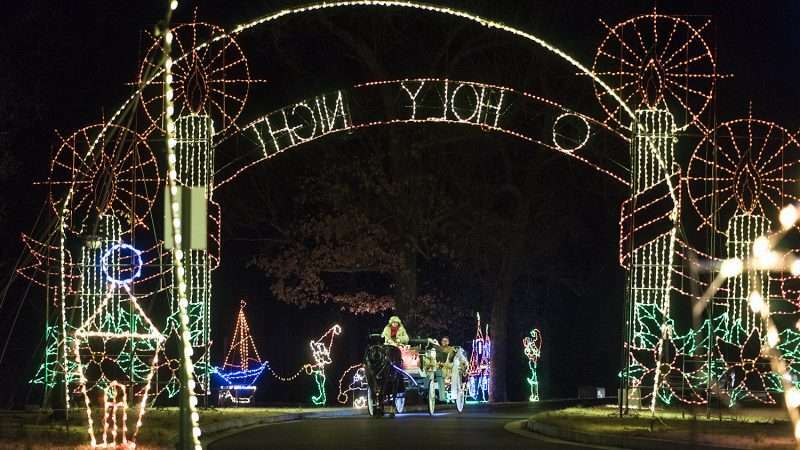 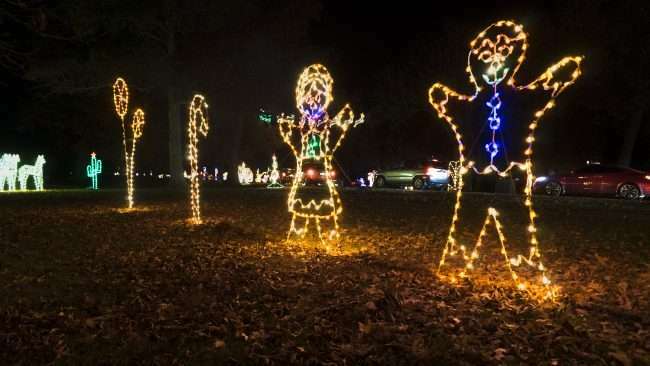 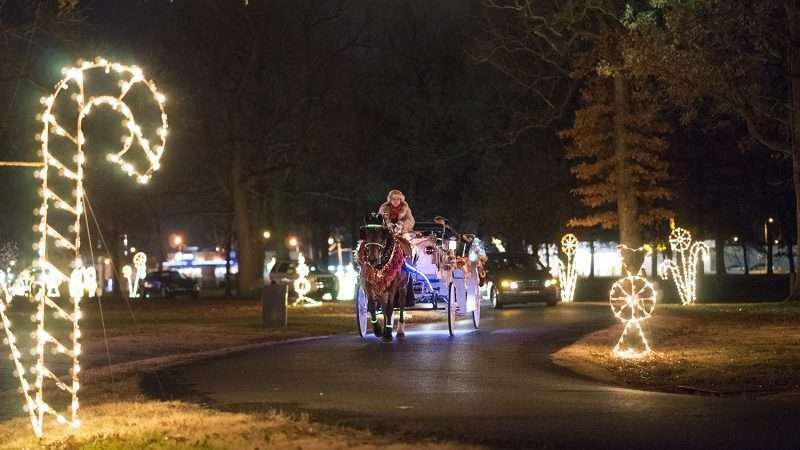 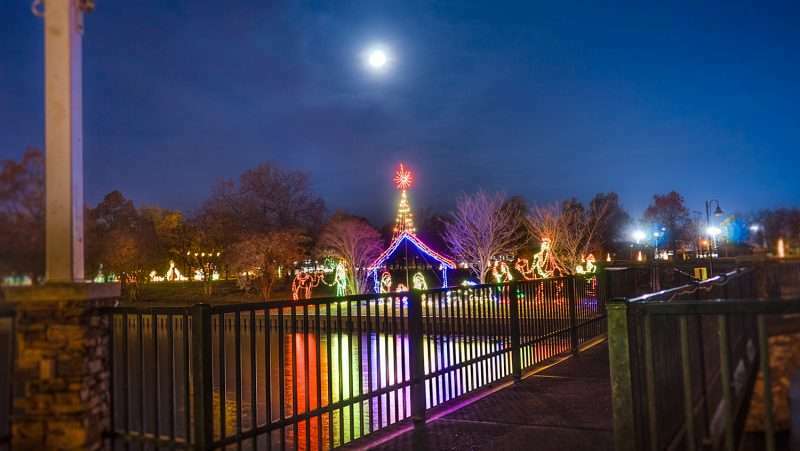 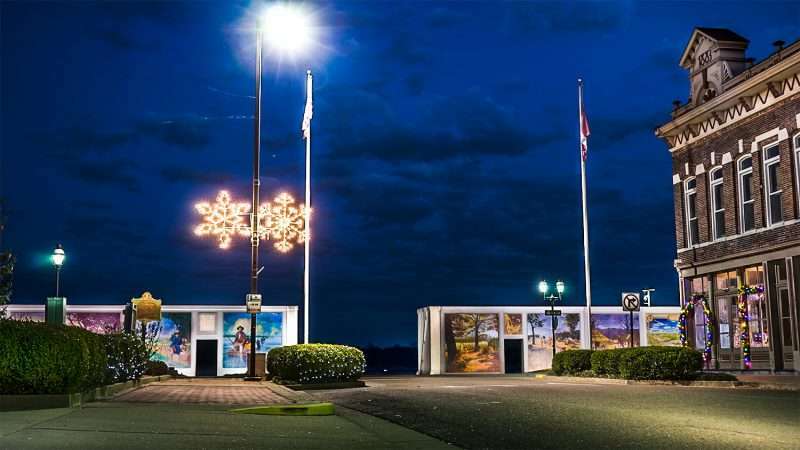 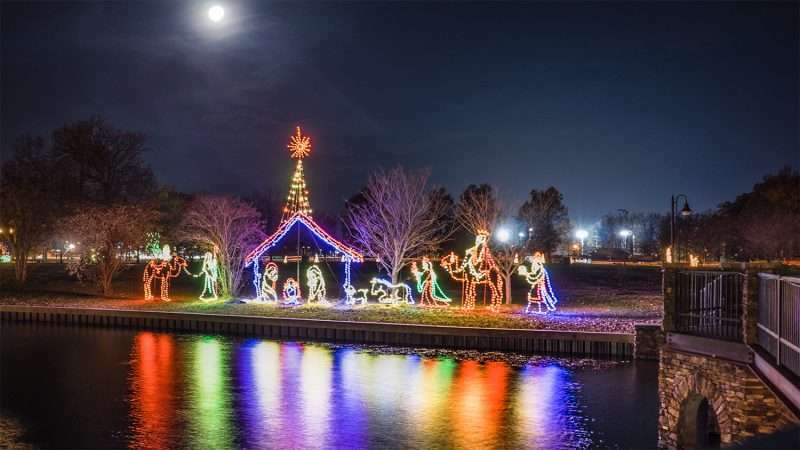 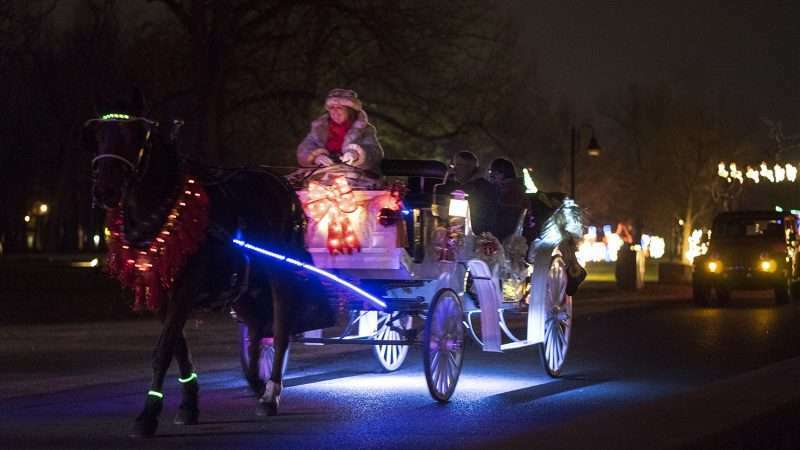 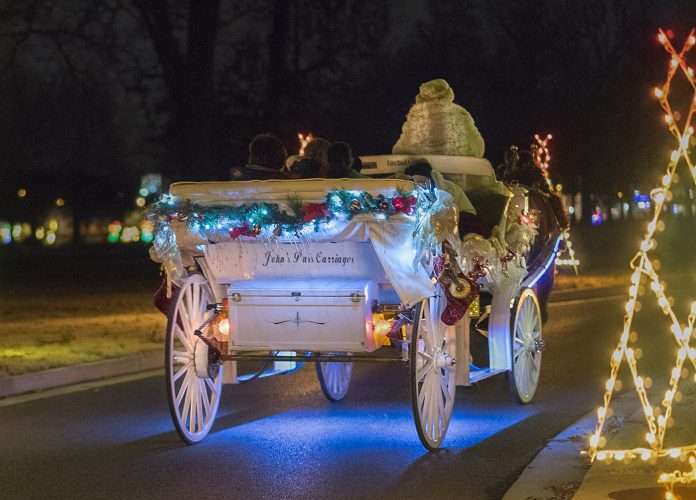 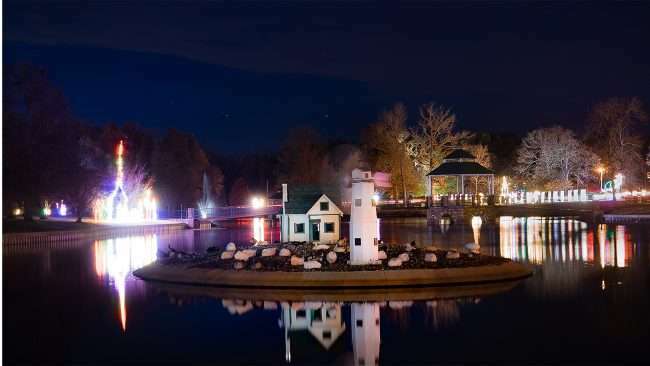 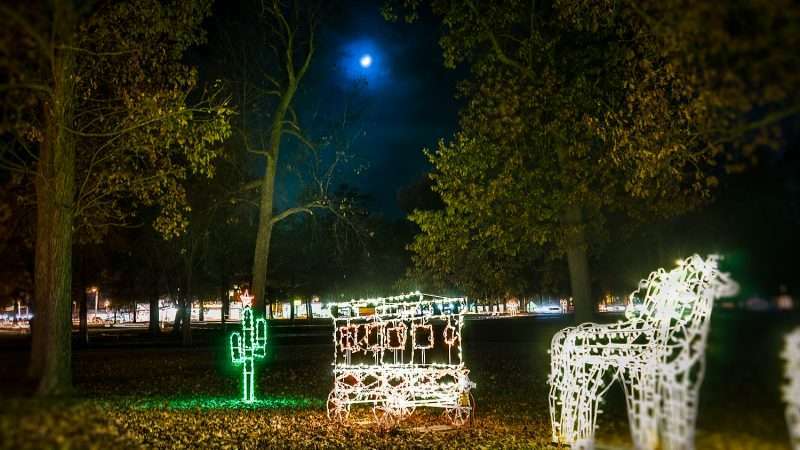 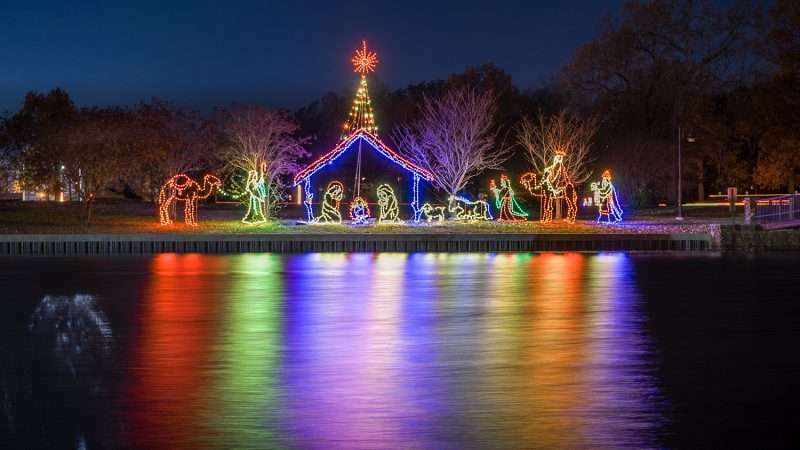 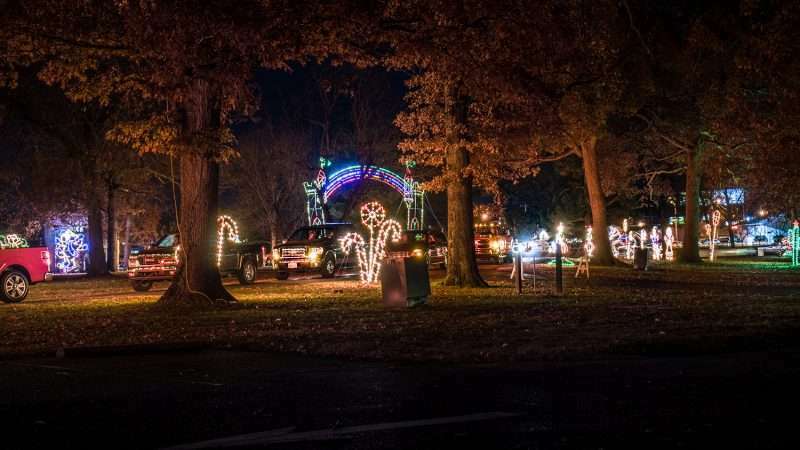 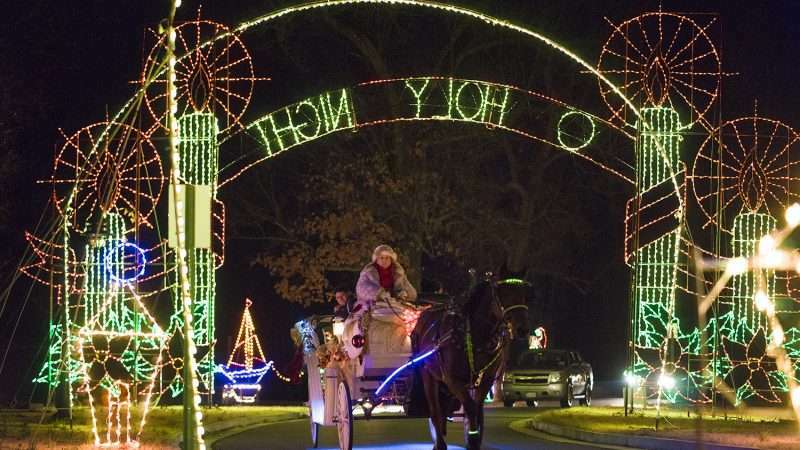 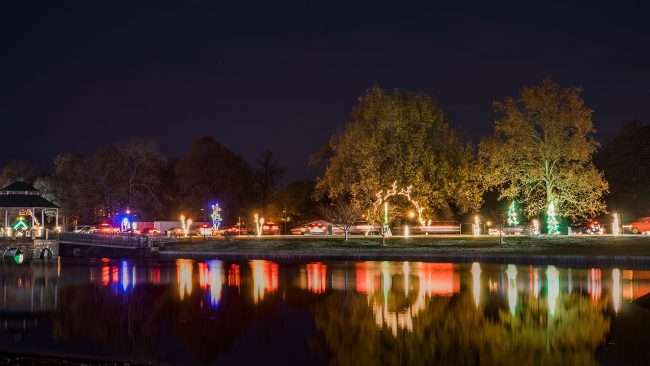 PADUCAH, KY – Christmas in Noble Park, sponsored by Paducah Power, is the yearly event that turns the park into a Christmas wonderland. And with a half million lights attached to hundreds of animated characters and everything-Christmas, it covers most of the 135 acres of land that makes up park. 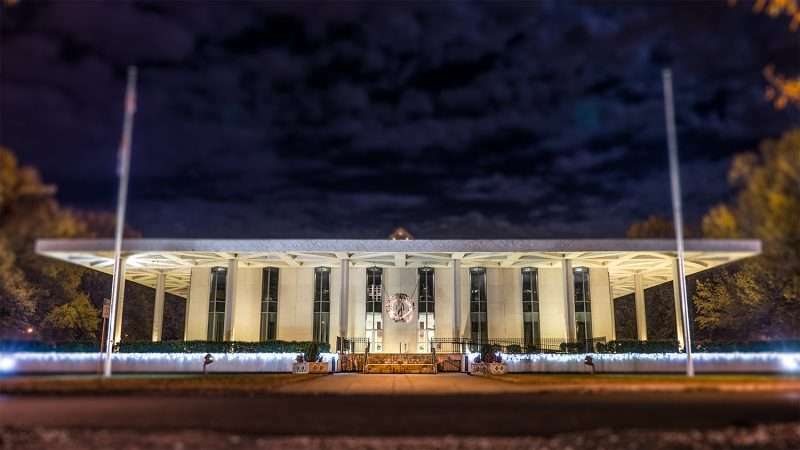 To see the lights, you just need to drive through the entrance of Noble Park at Park Avenue and that’s it. 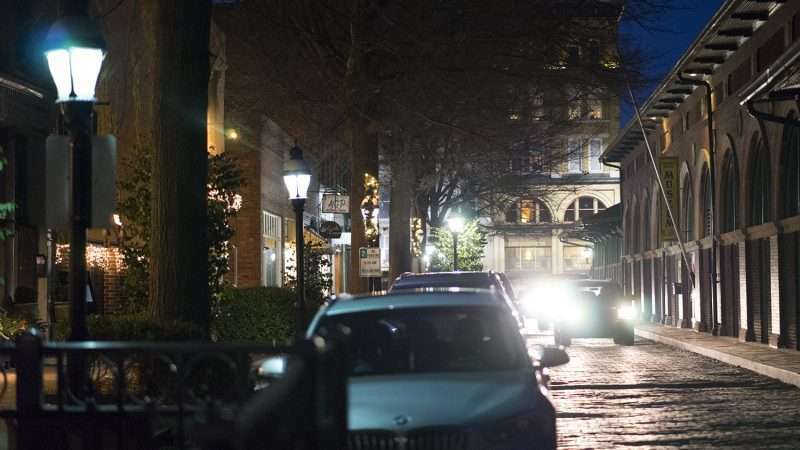 The road takes you through the entire park and circles you back to the exit at Park Avenue. 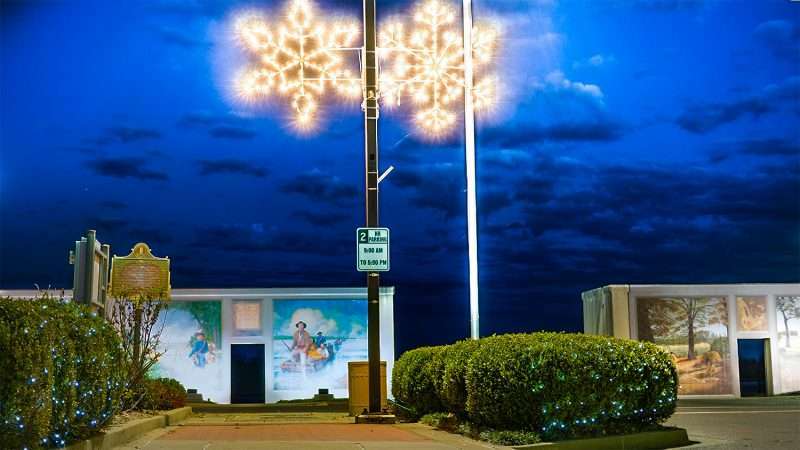 It’s free but please help by donating money or nonperishable foods (like can goods) at the Santa House that sits a ways in on your right. The donations go to St. Vincent DePaul Society, Family Service Society, Paducah Cooperative Ministry and the Salvation Army. 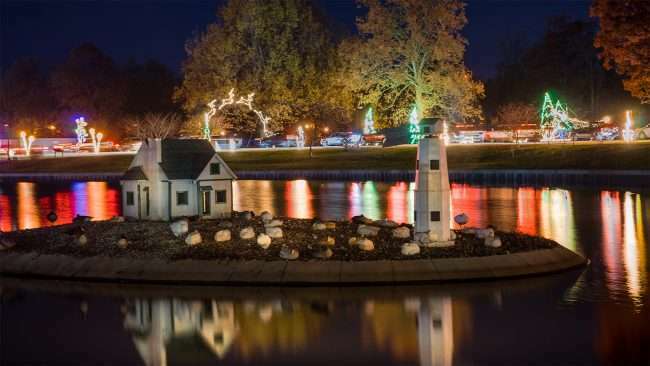 The Annual Christmas in the Park 2016 raised $43,752 and 66,893 pounds of food. Noble Park is beautiful in the day but on a moonlit night in concert with a half million twinkling lights, it becomes a Magical place and all for a good cause.